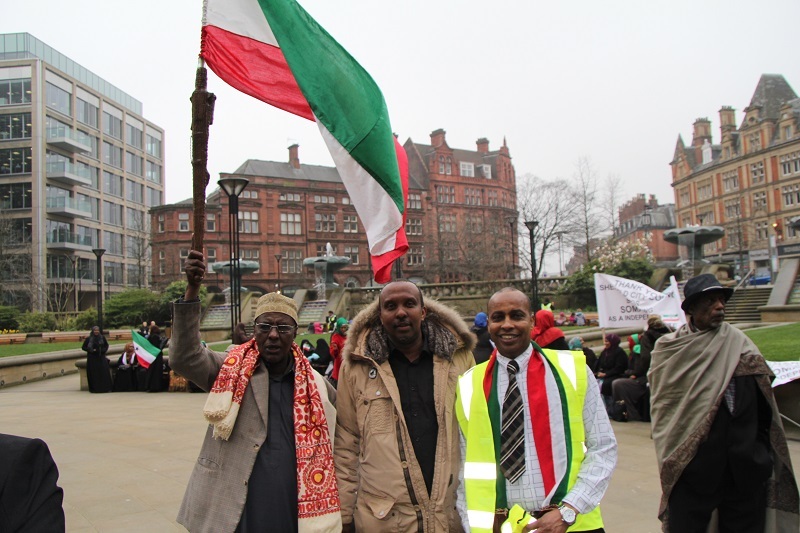 Halkan ka daawo sawiradii taariikhiga markii ay Sheffeild, ku aqoonsatay jamhuuriyadda Somaliland. 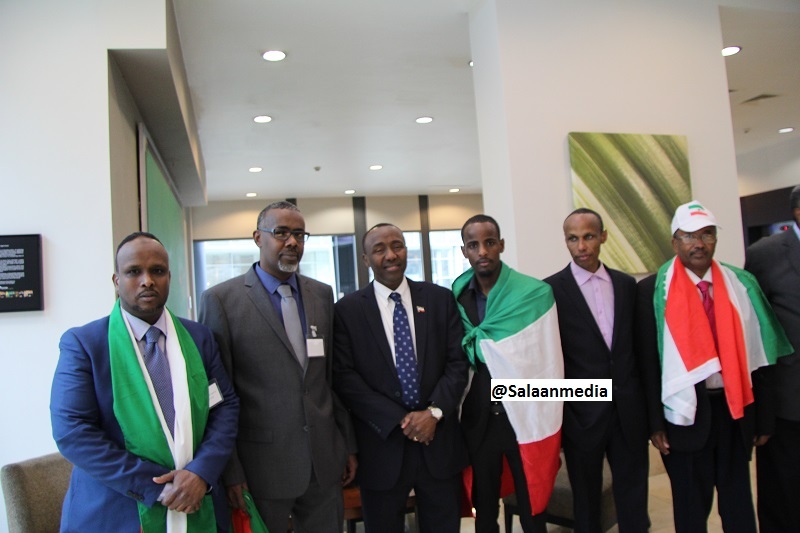 Daawo Sawiro Dheeradda ah..Golahii degaanka Shaffield ee Ictiraafay Somaliland iyo sida shacabka Soomaaliland usoo buux dhaafiyeen. 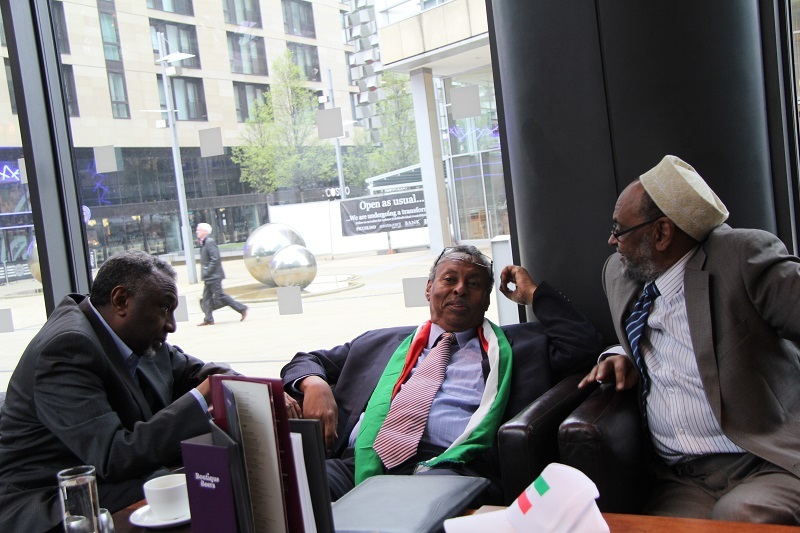 Waxa Shalay oo Arbacaa ah dood dheer oo ay yeesheen golaha degaanka ee Shaffield UK ay cod loo qaaday ictiraafka Somaliland ay si wada-jir ah ay u ictiraafeen Soomaaliland. 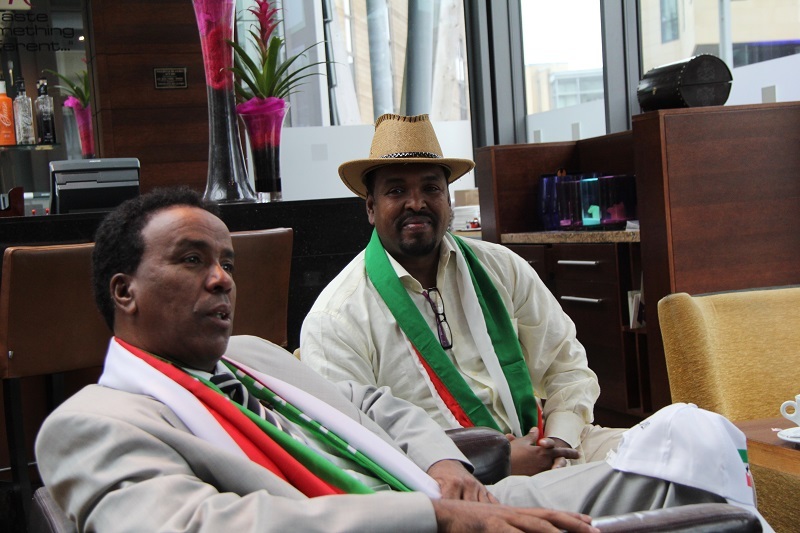 Lasoco Warkii oo dhan,Muqaal dhawaan Insha Allah. 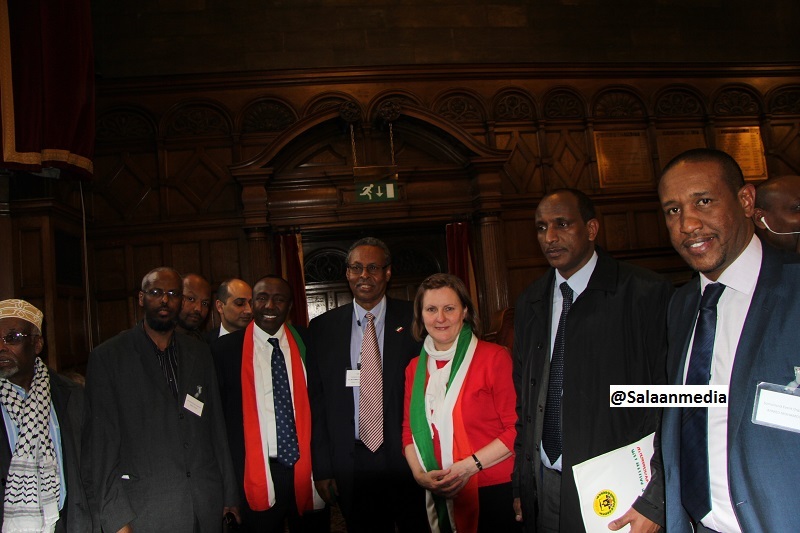 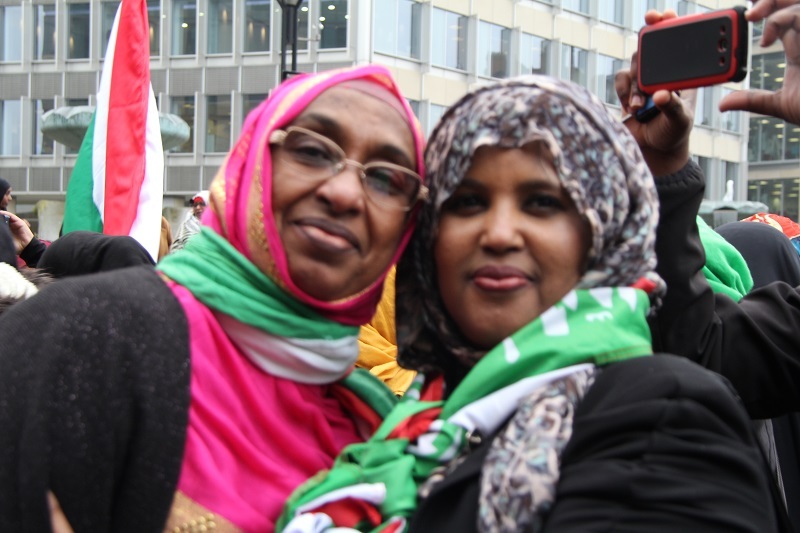 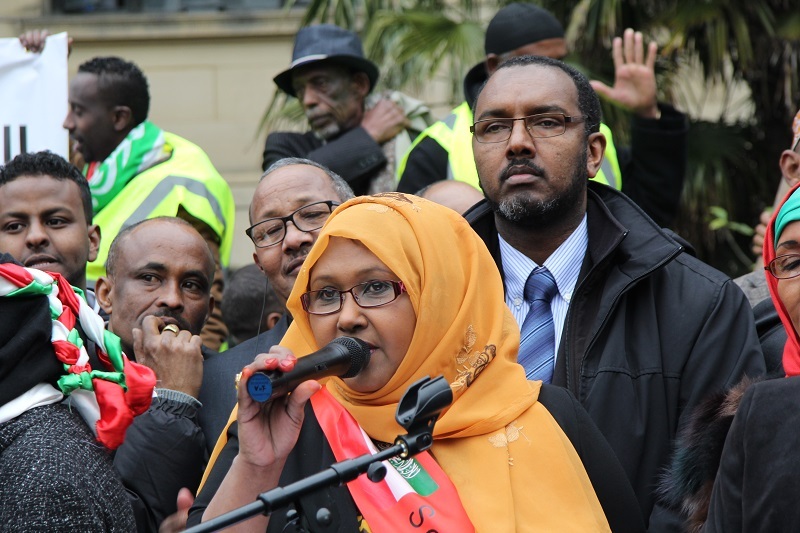 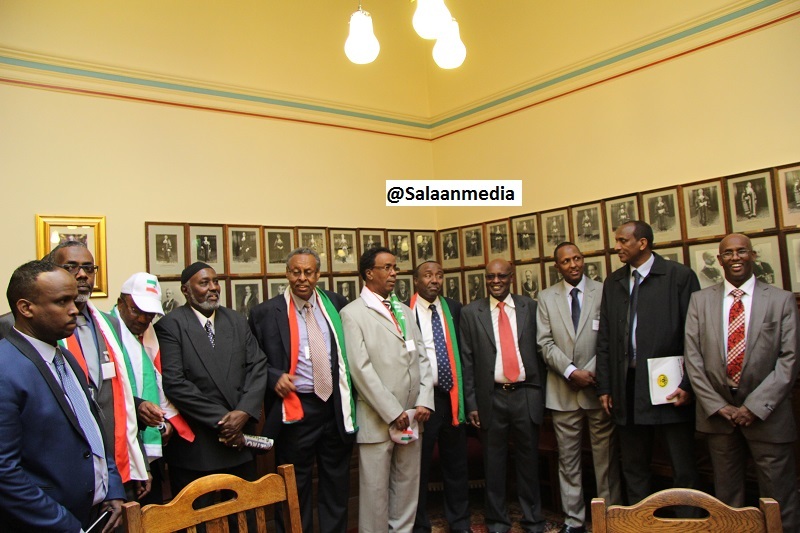 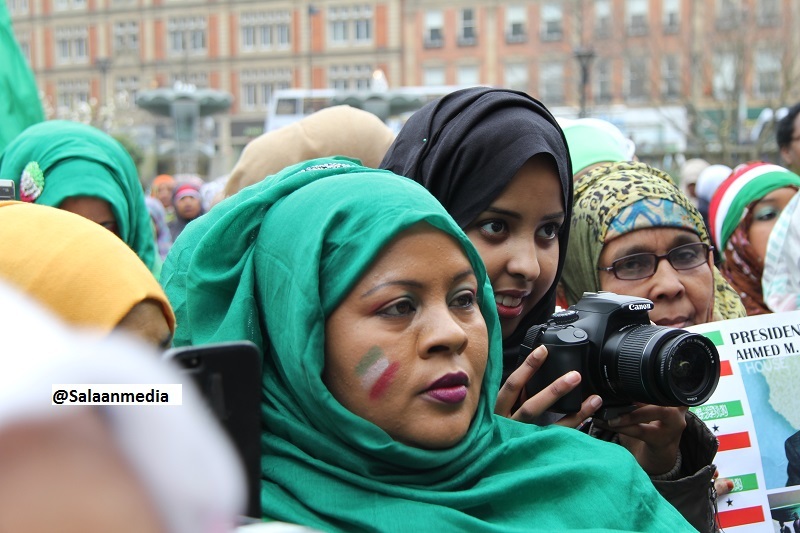 LONDON — A city in Britain has become the first to officially recognize Somaliland’s claim to independence. 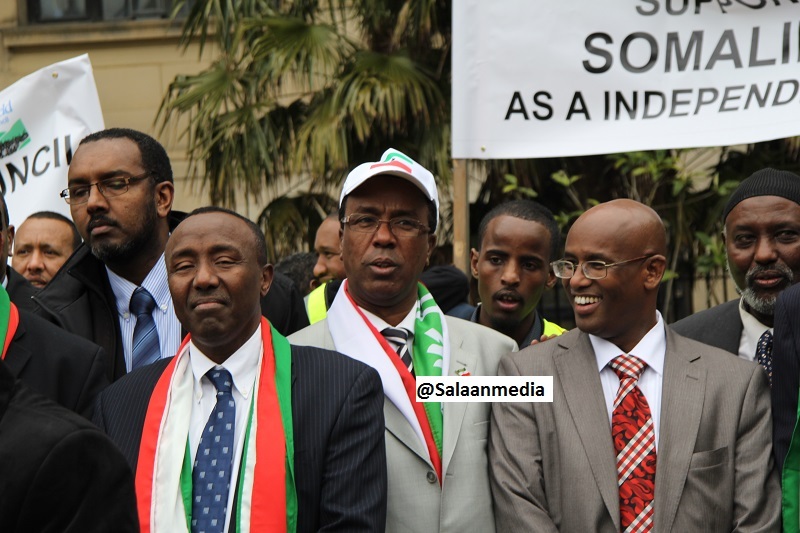 The vote — which is purely symbolic and carries no legal weight — is nevertheless being hailed by Somaliland leaders as a big step forward in their decades-long campaign to break away from Somalia. 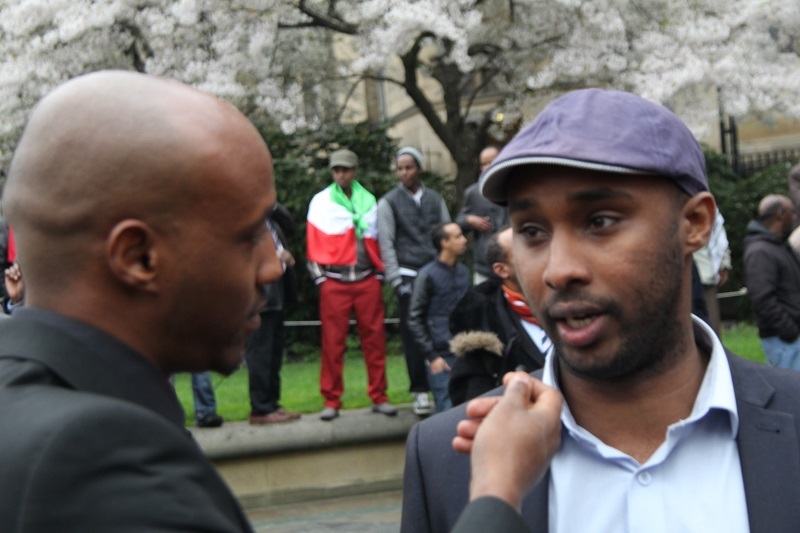 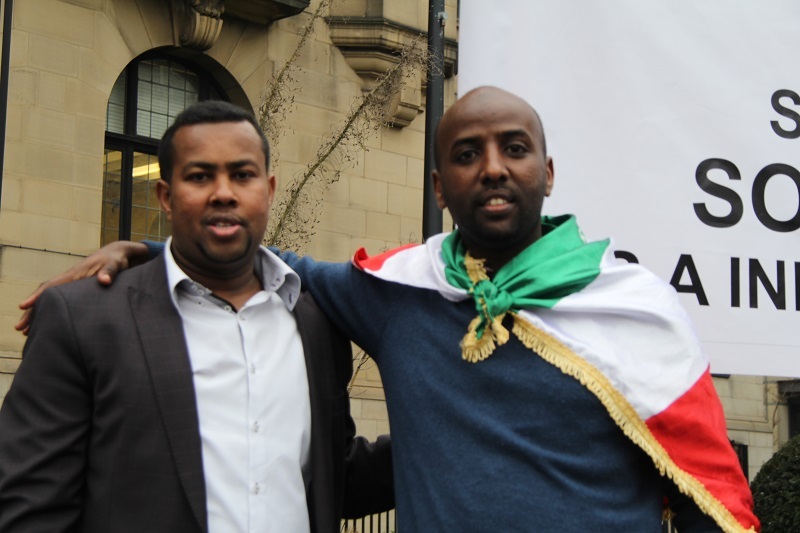 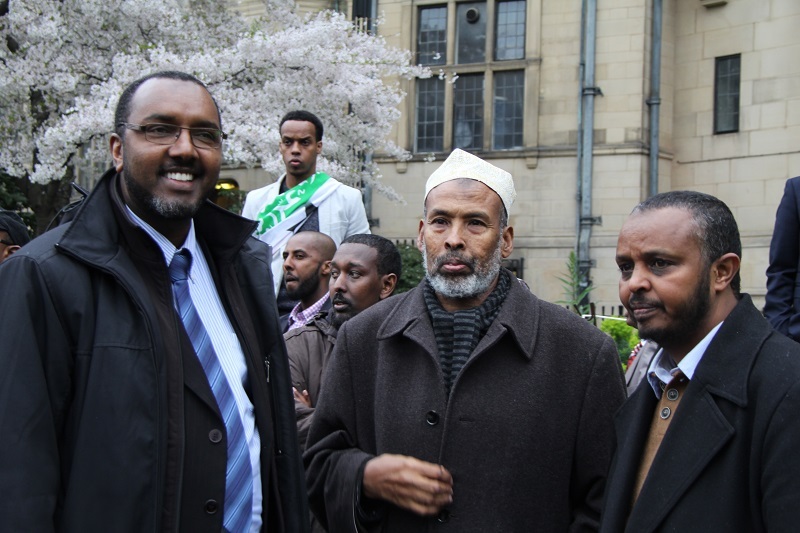 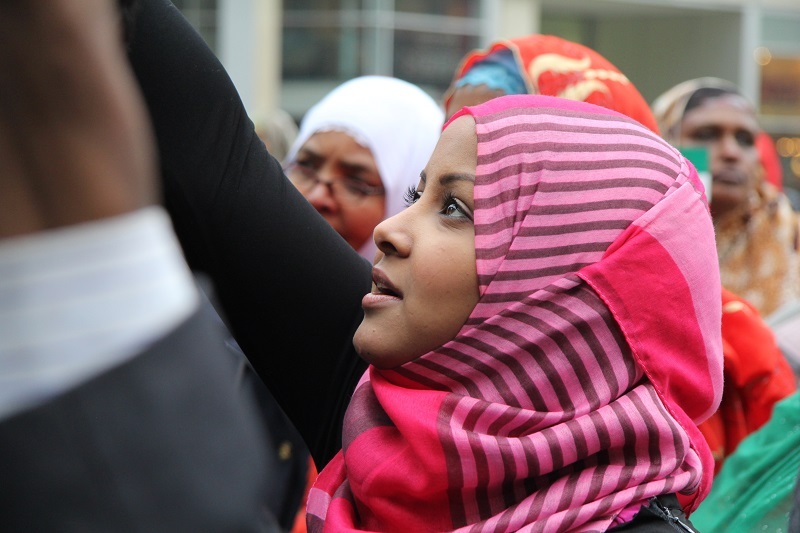 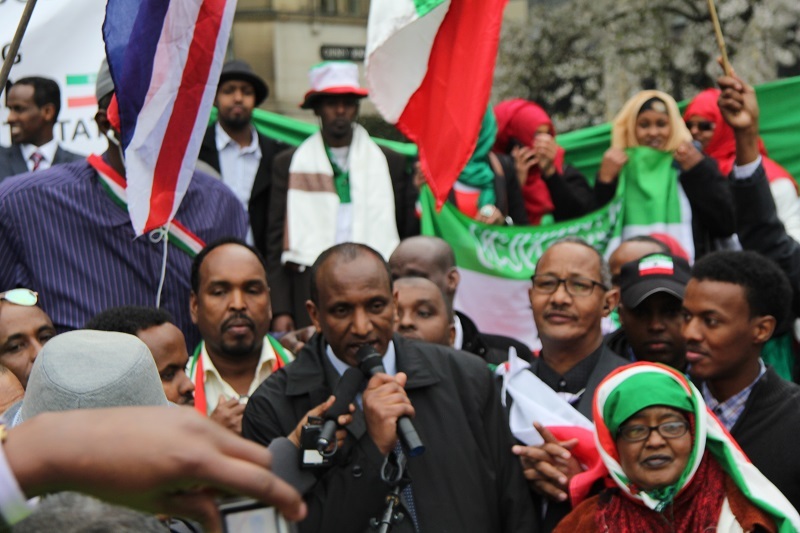 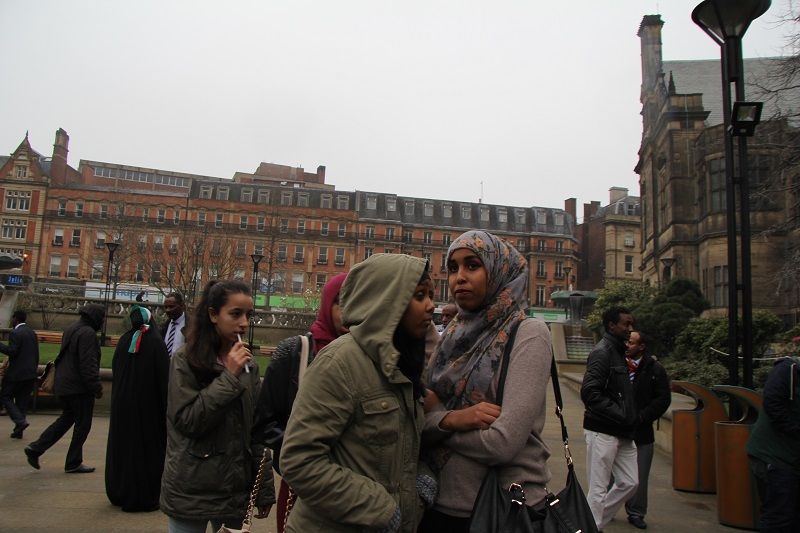 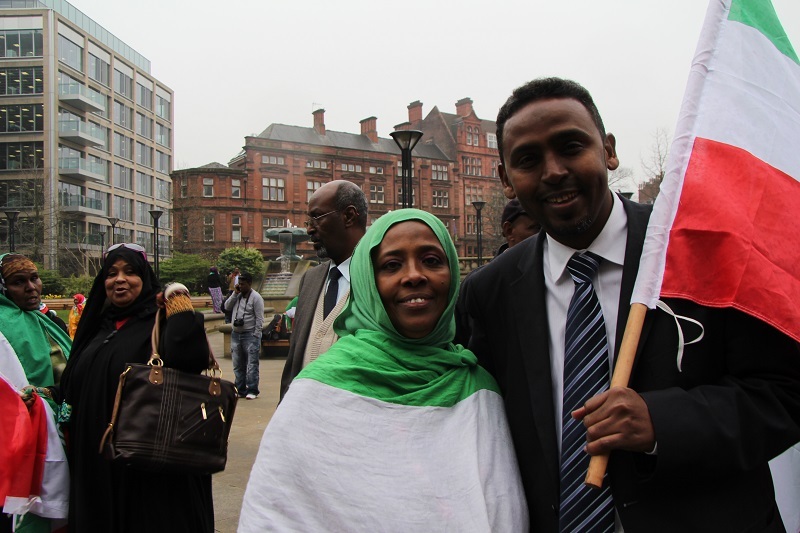 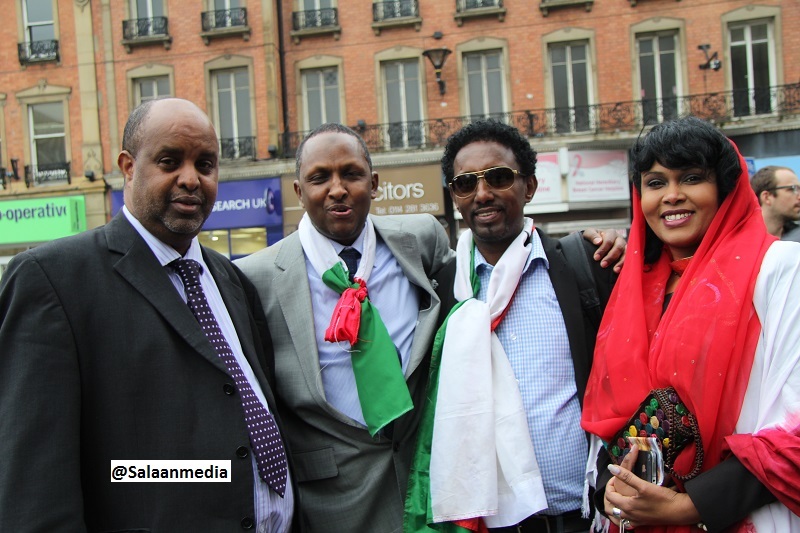 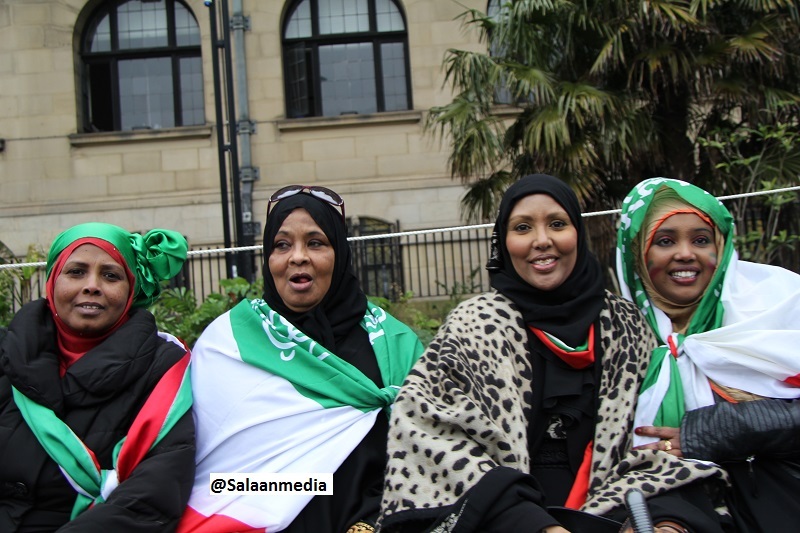 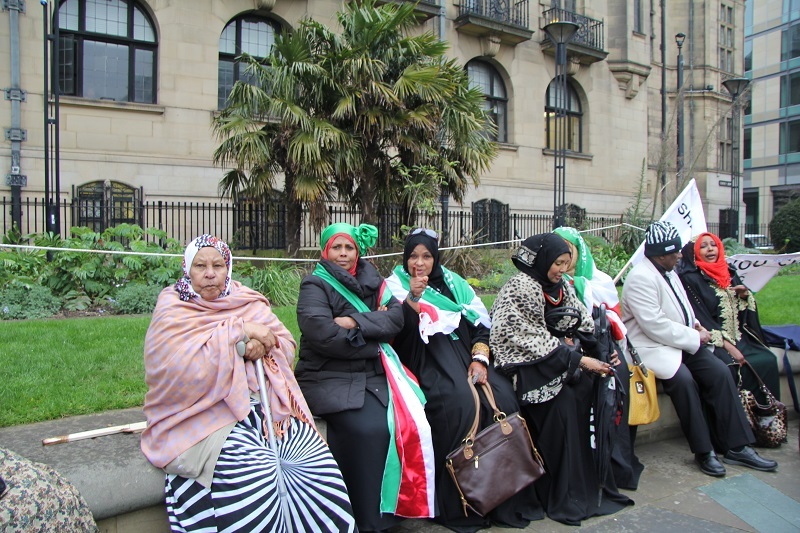 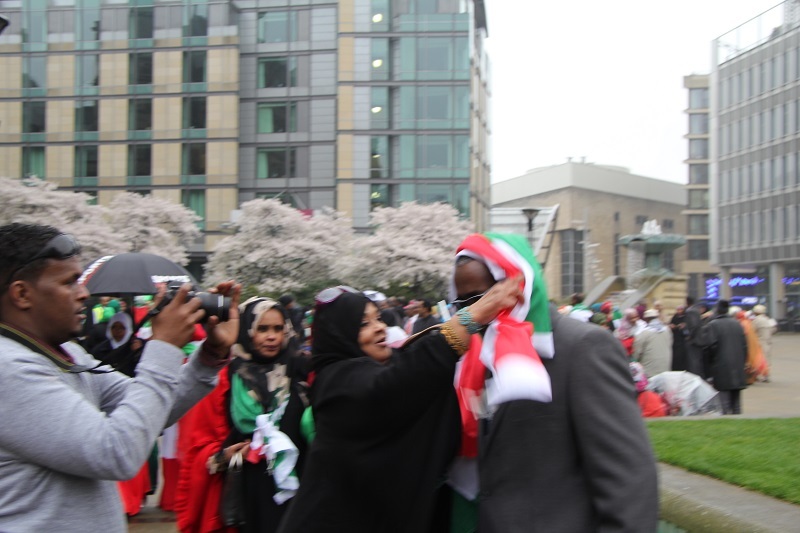 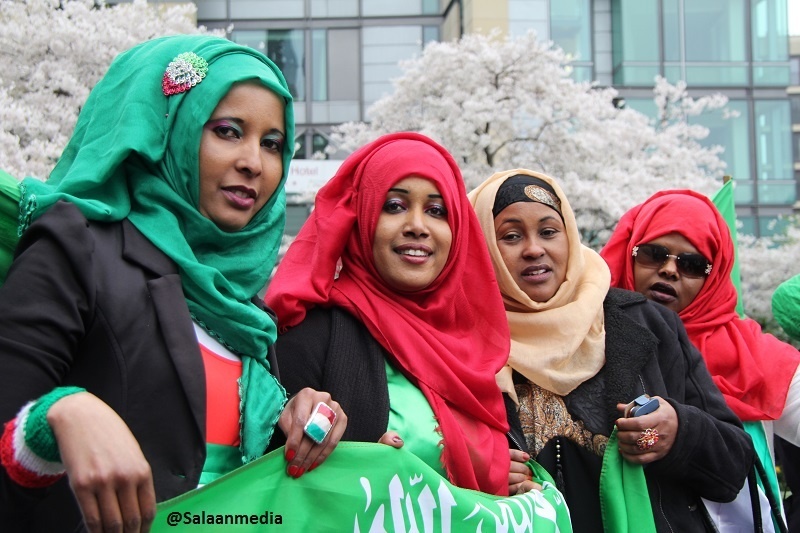 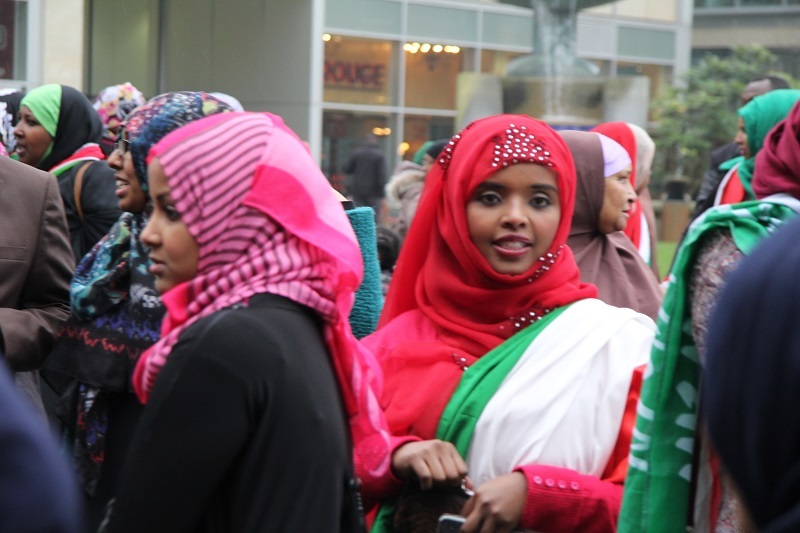 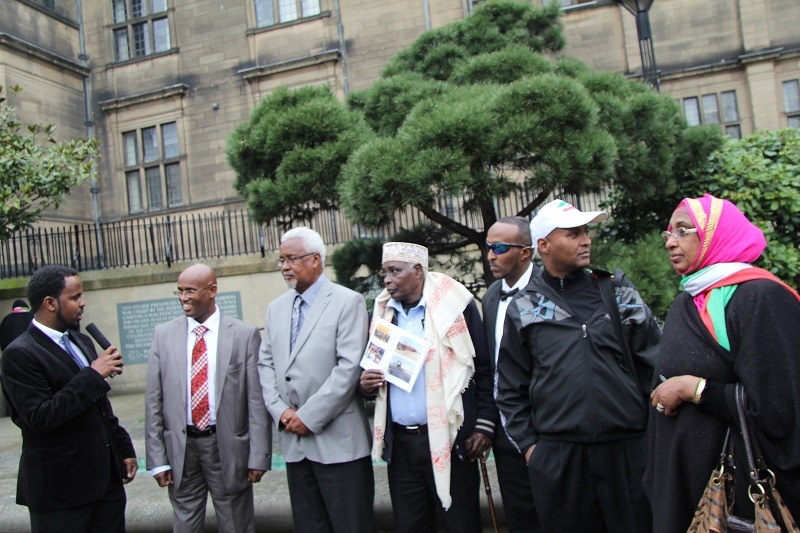 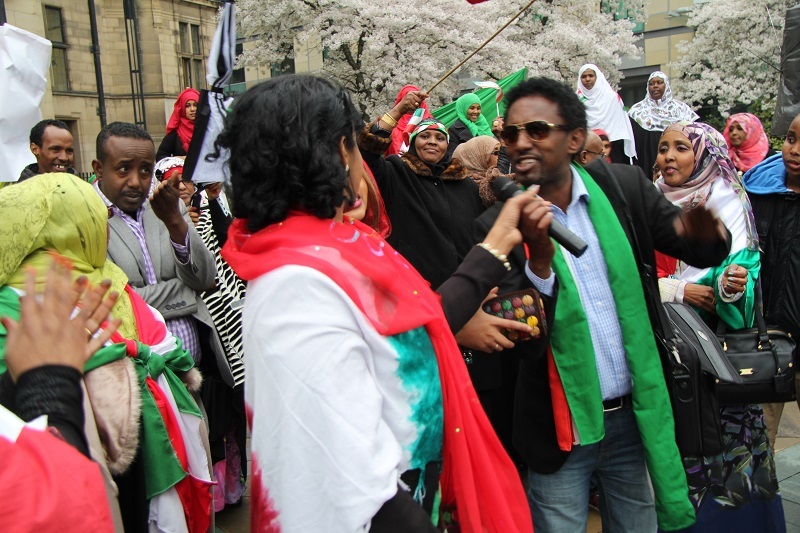 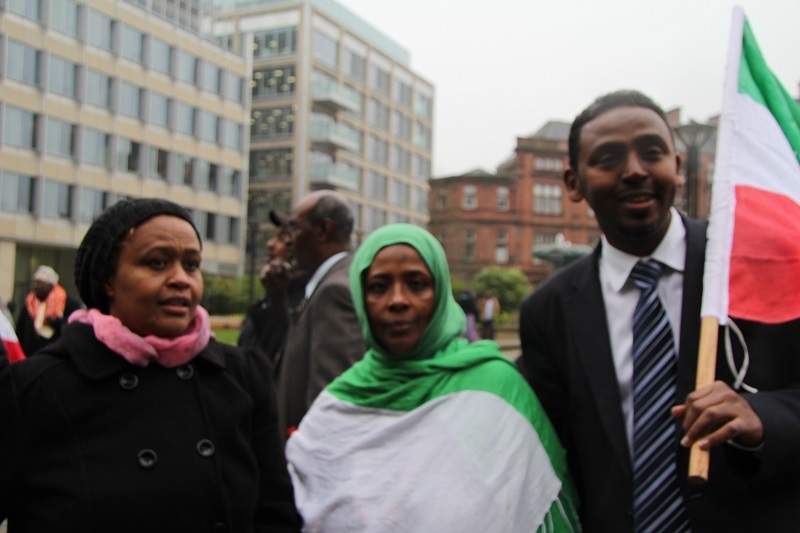 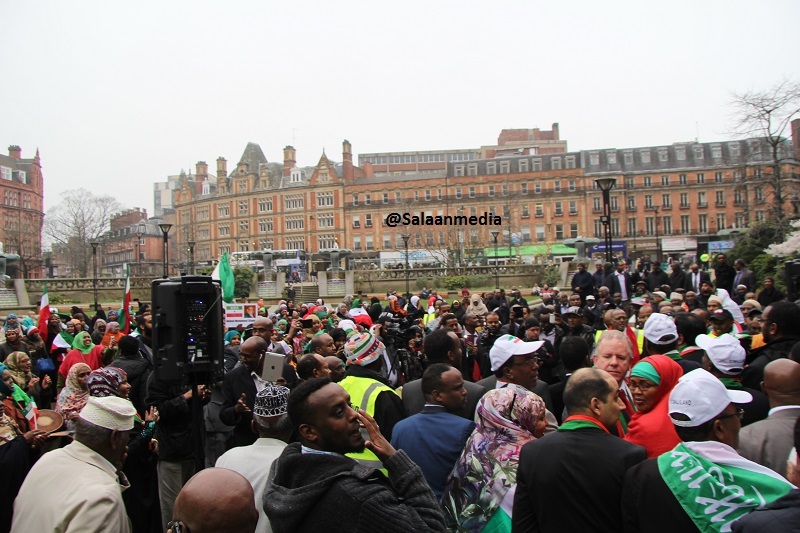 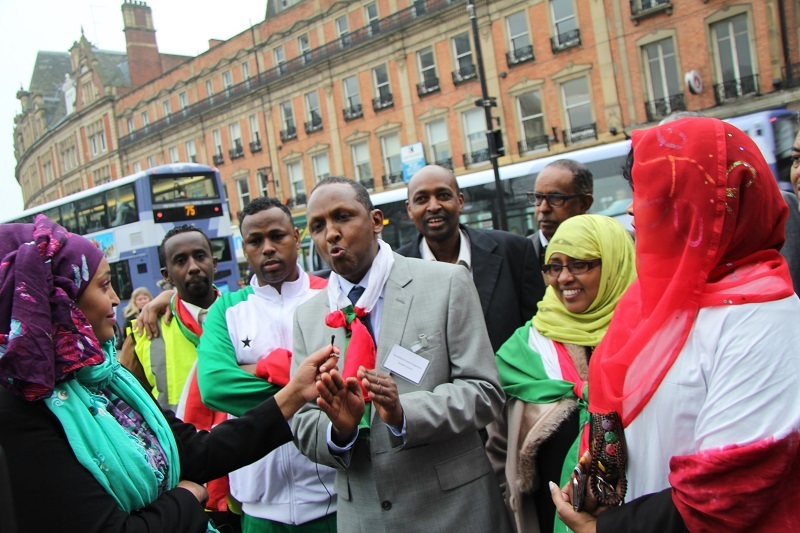 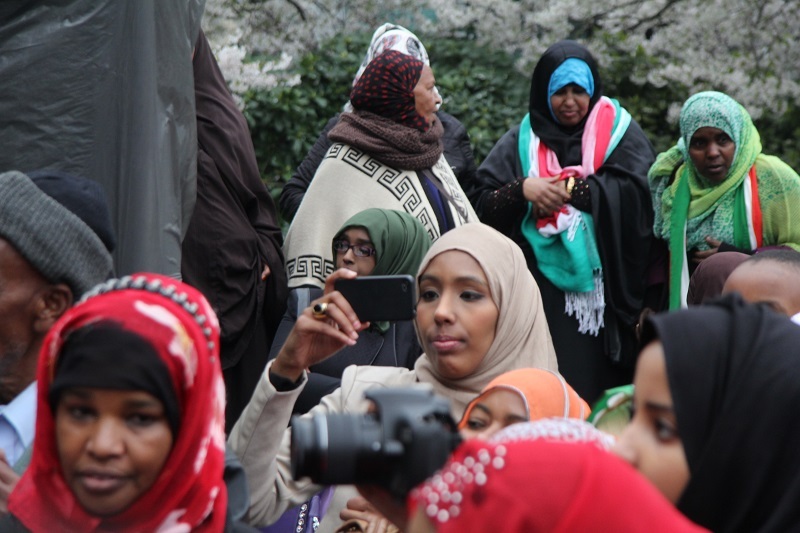 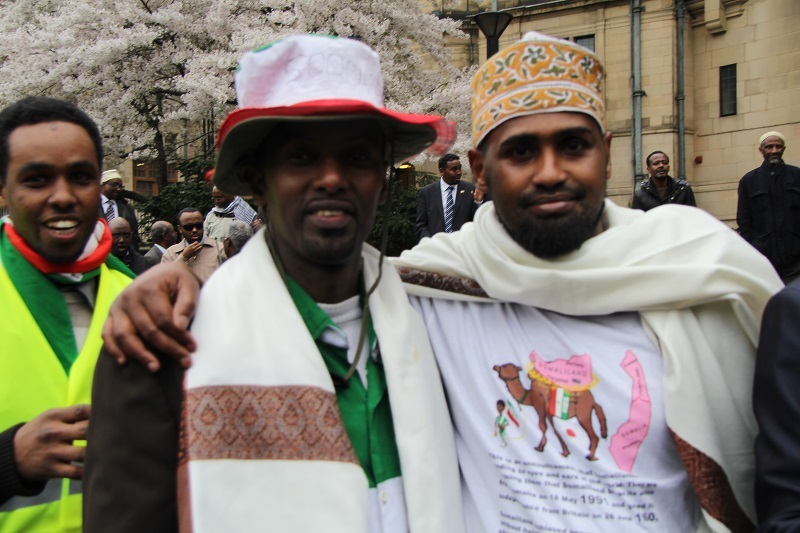 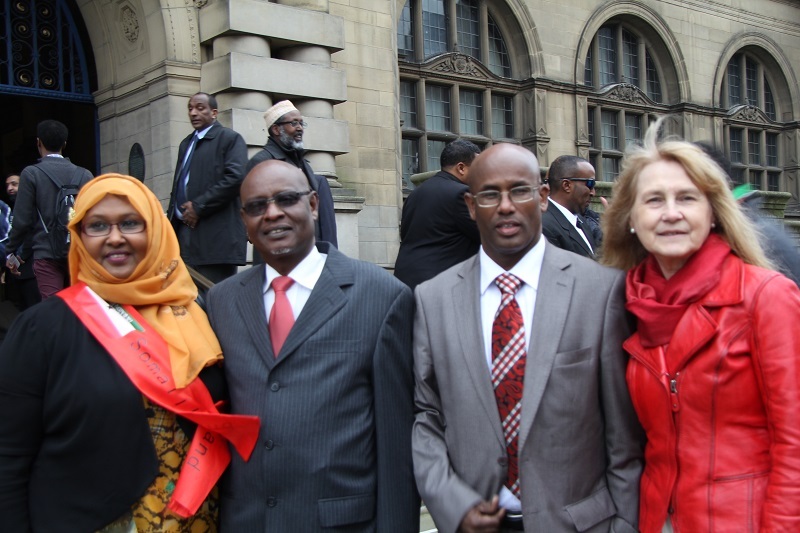 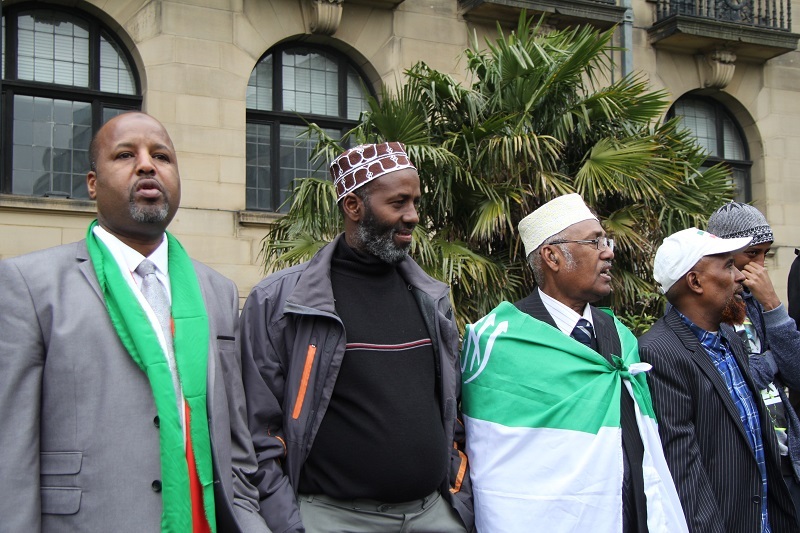 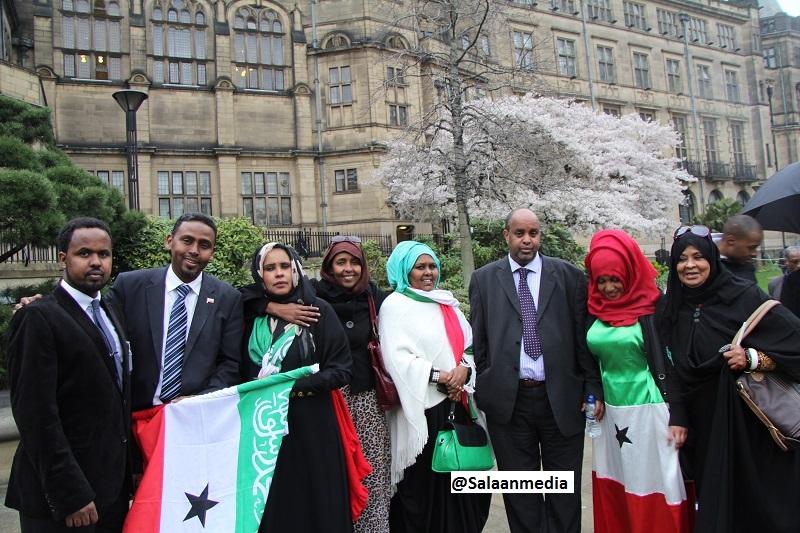 Somalilanders celebrated outside Sheffield city hall after the council voted Thursday to recognize the region’s right to self-determination. 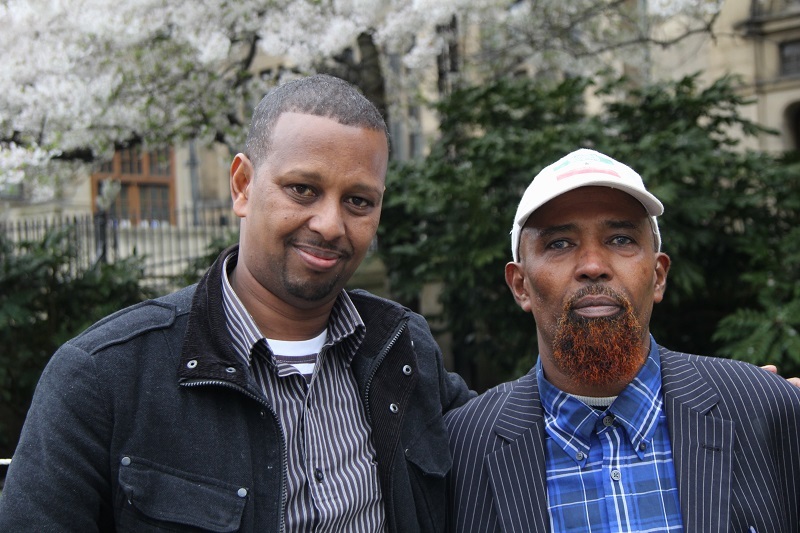 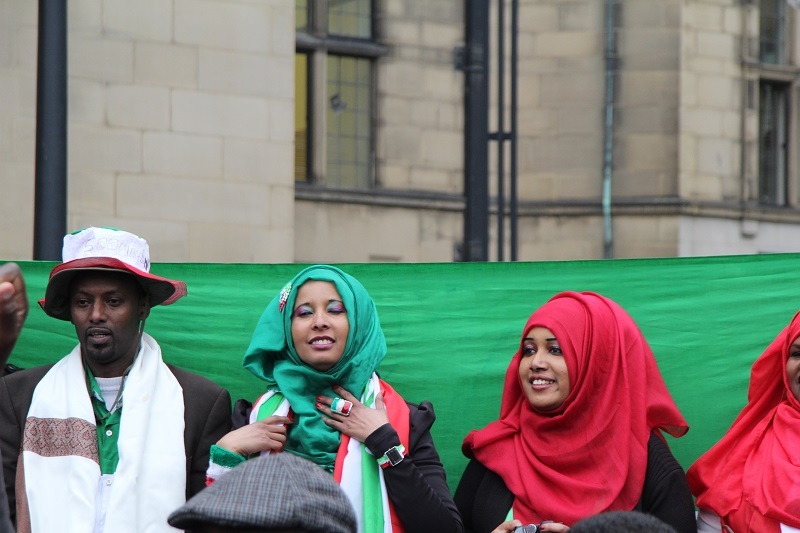 Thousands of people of Somaliland origin live in the northern British city. 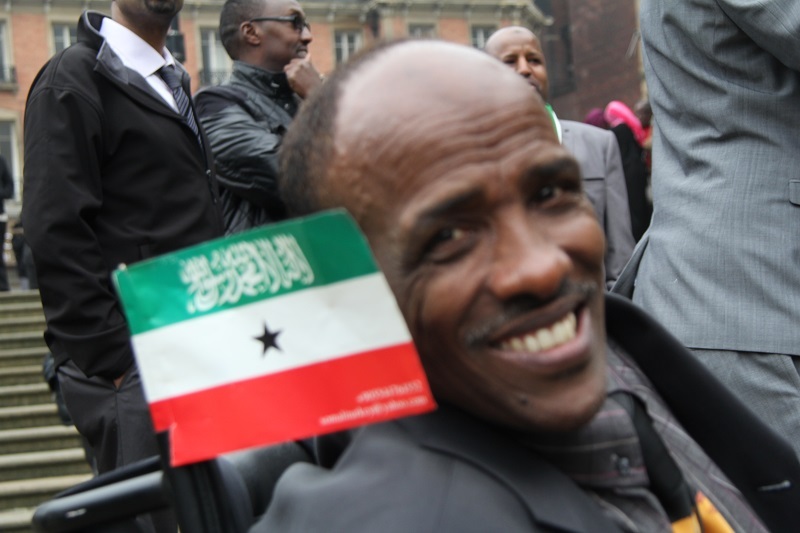 Somaliland occupies the northern section of Somalia. 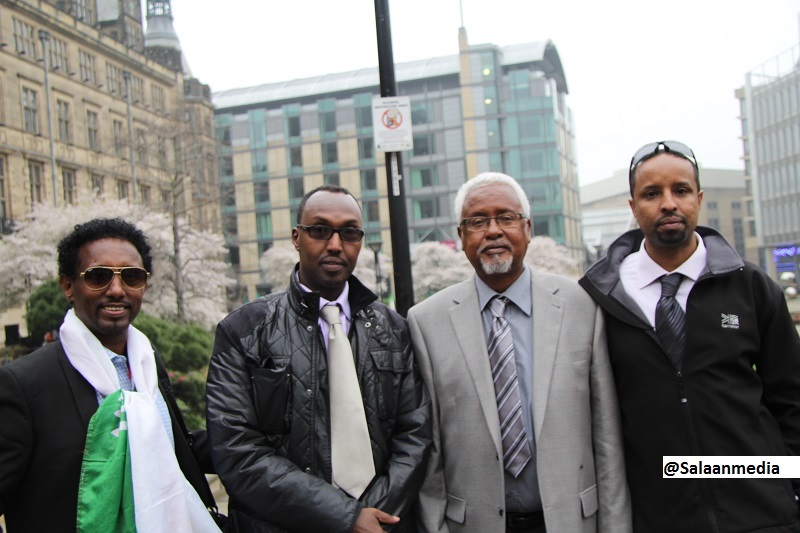 The rest of the country has been plagued by lawlessness and violence since the overthrow of Somalia’s leader in 1991. 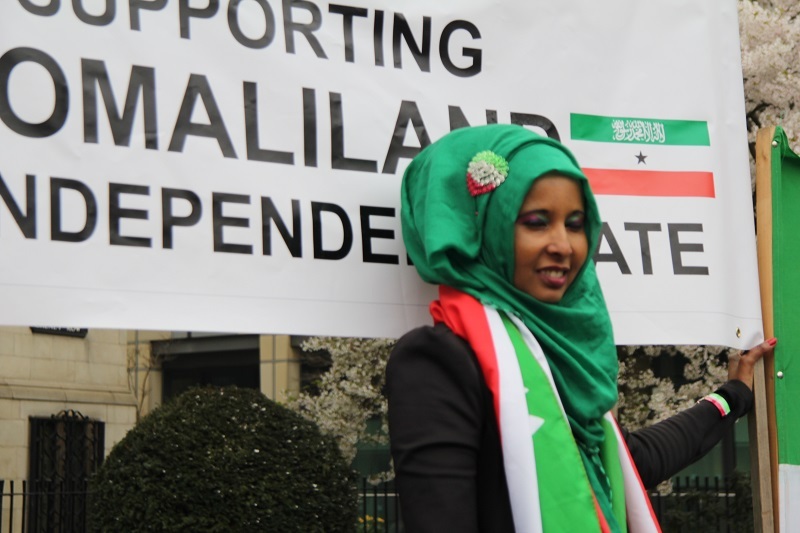 Later that same year, Somalilanders voted in a referendum to become independent — a vote that has not been recognized by any nation. 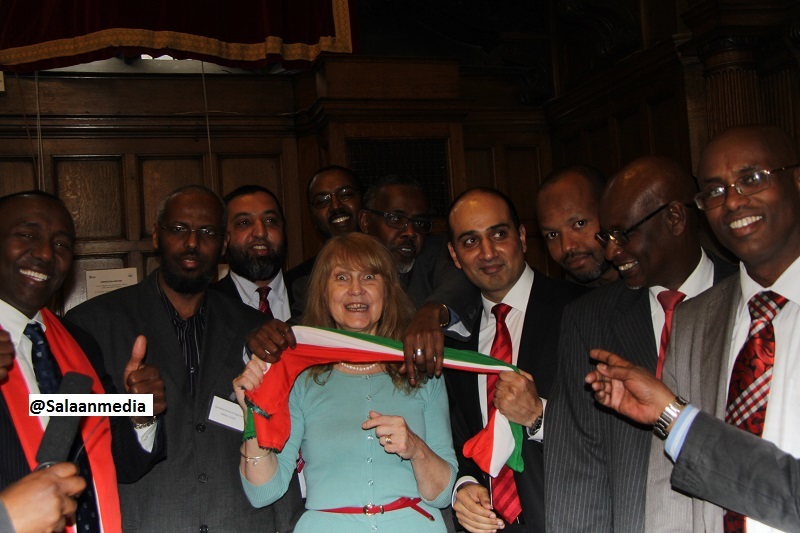 Somaliland did gain brief statehood upon its independence from Britain in June 1960. 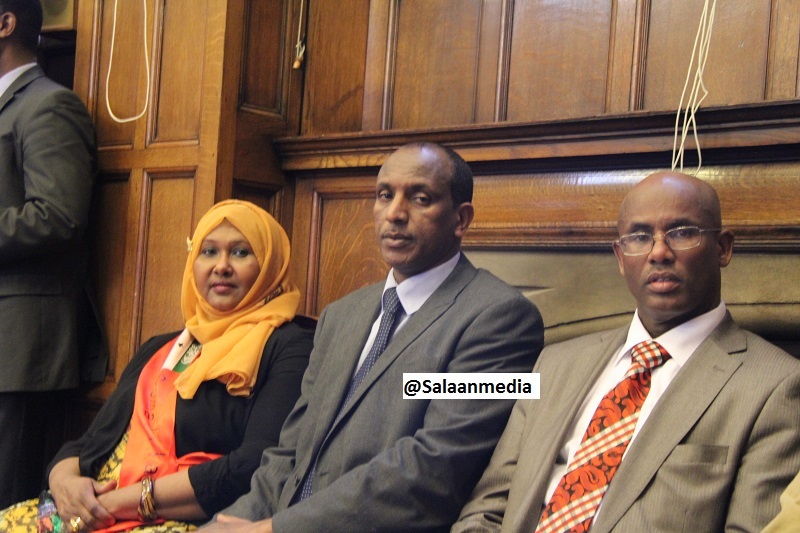 But its government chose to merge with Somalia. 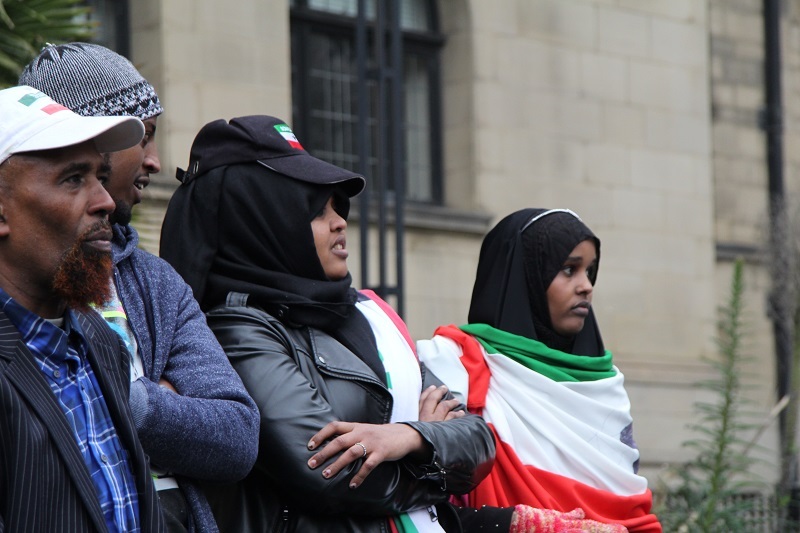 Convincing the world that Somaliland should be recognized as independent will not be easy, according to Alex Vines of London-based policy analyst group Chatham House. 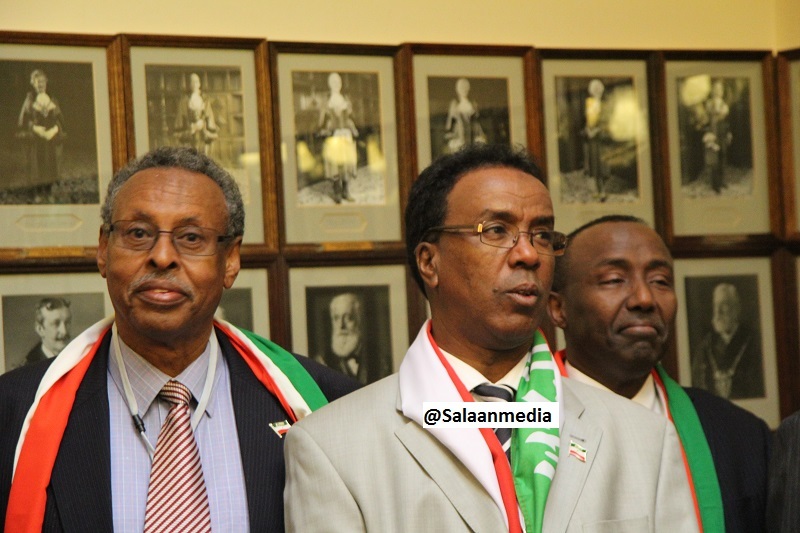 Somaliland authorities insist the region’s economy would support independence. 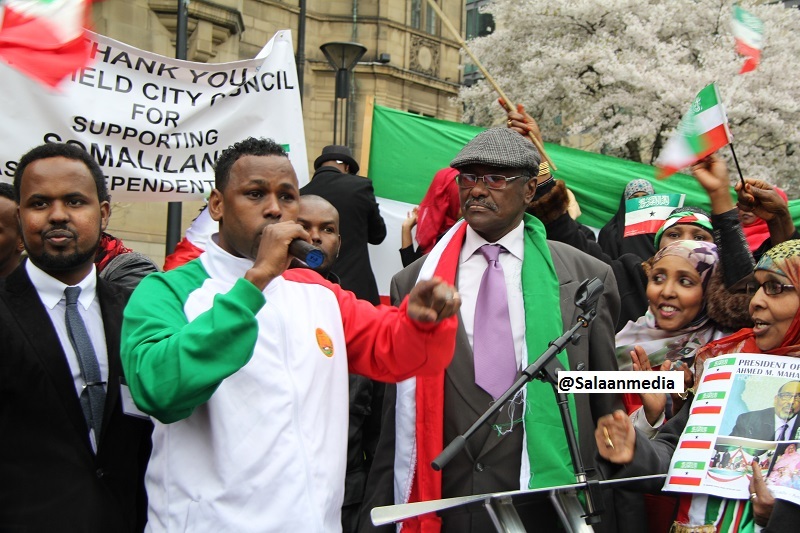 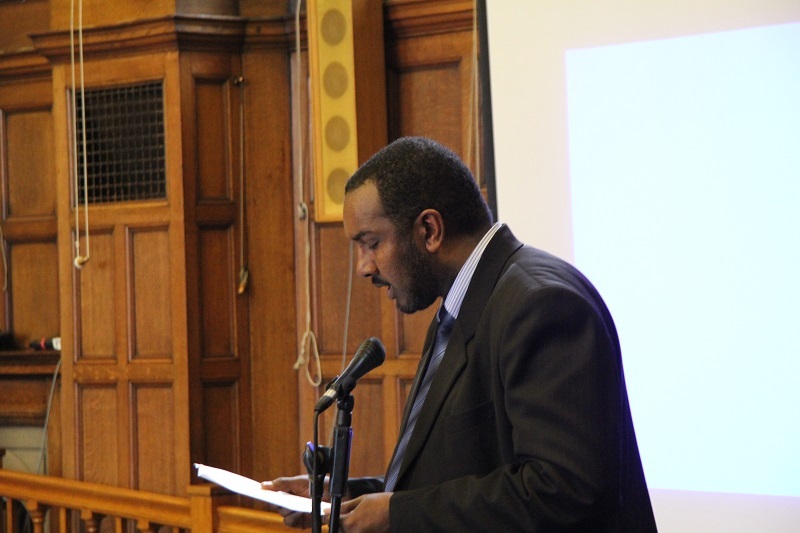 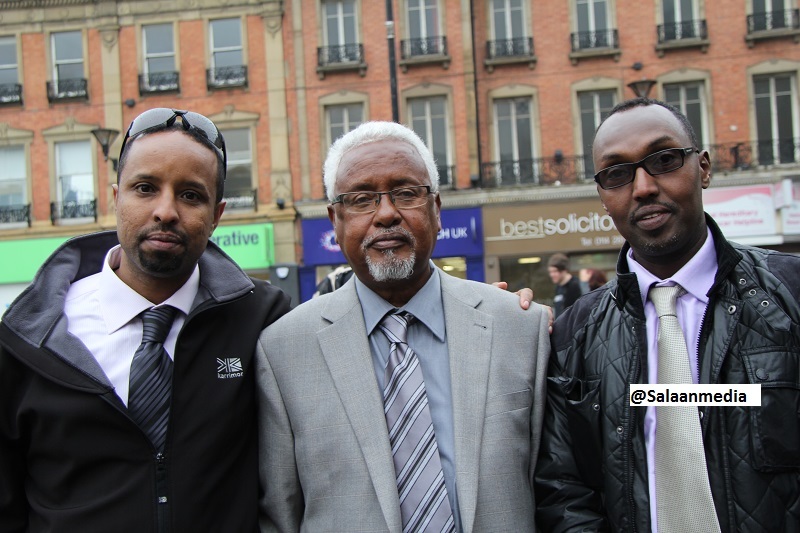 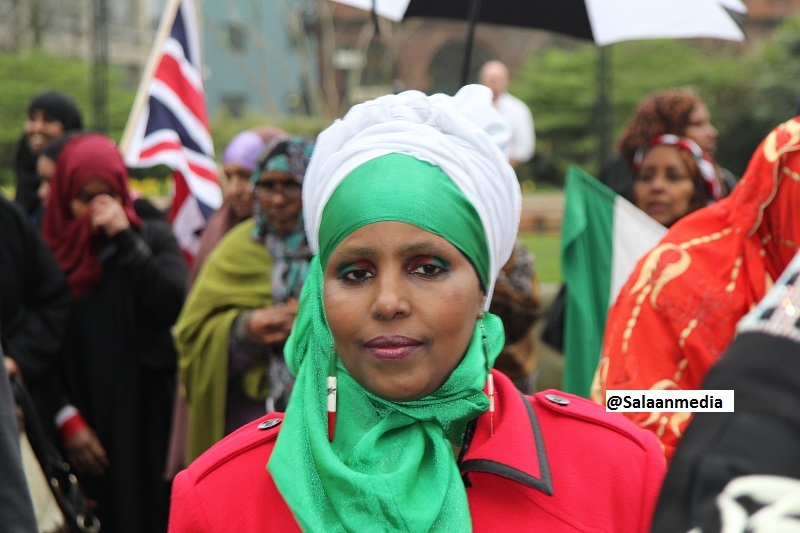 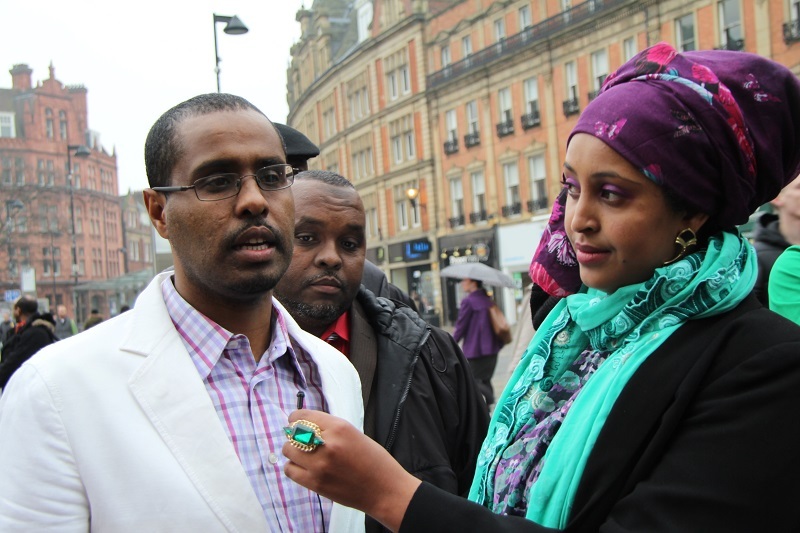 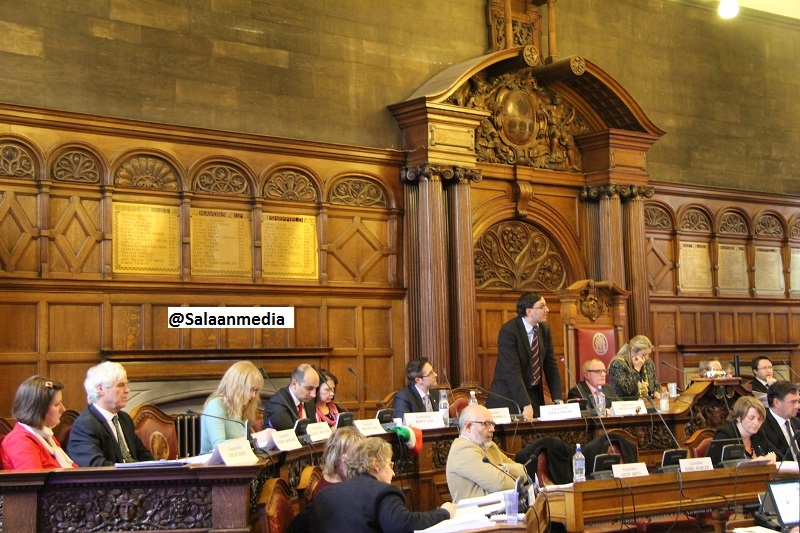 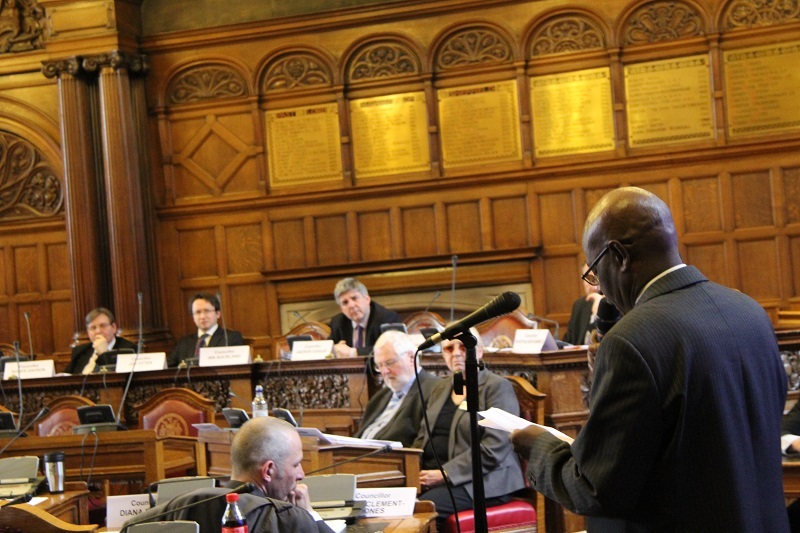 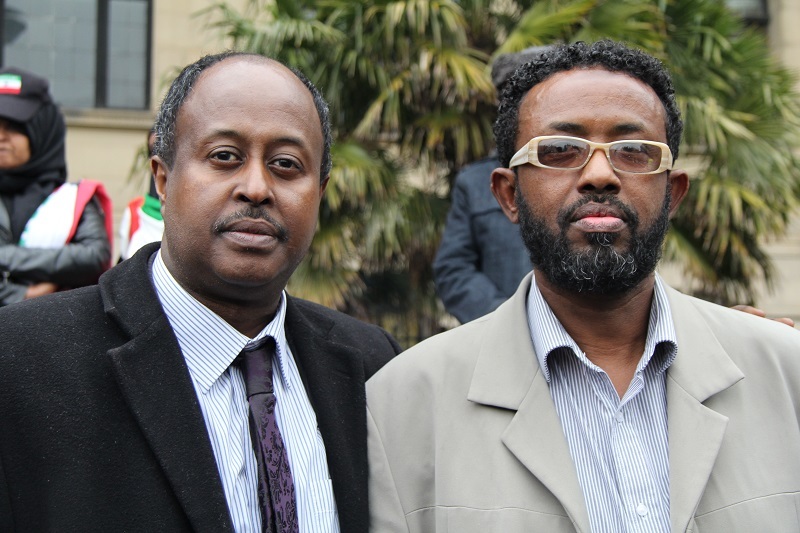 – Sheffield – March 28 2014 – Councillor Mohammad Maroof has initiated the following motion in favour of the recognition of the republic of Somaliland in a debate to be held on the 2nd of April 2014 in Sheffield. 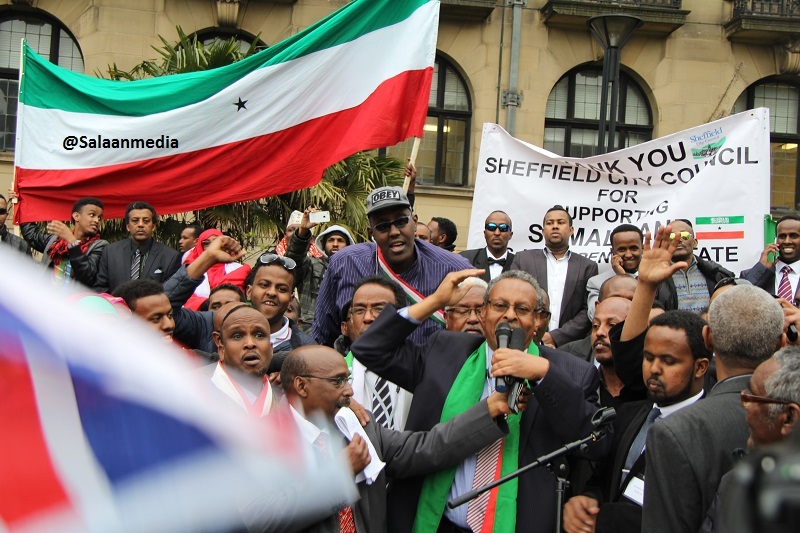 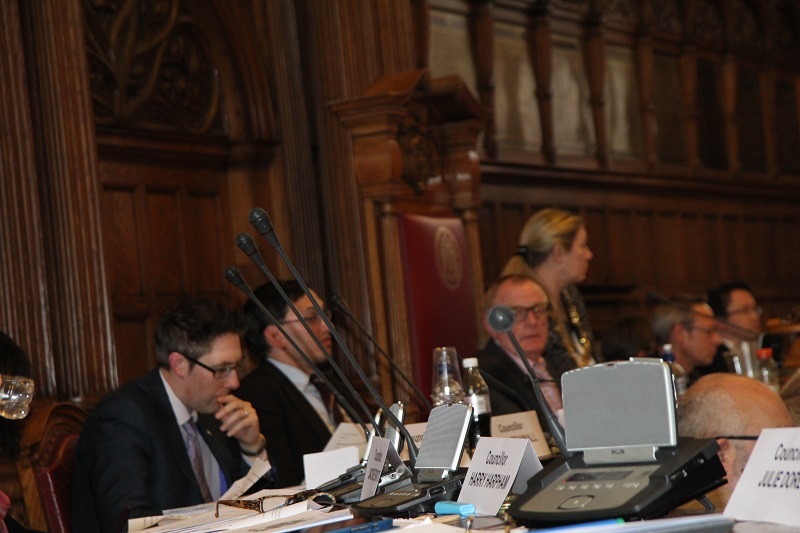 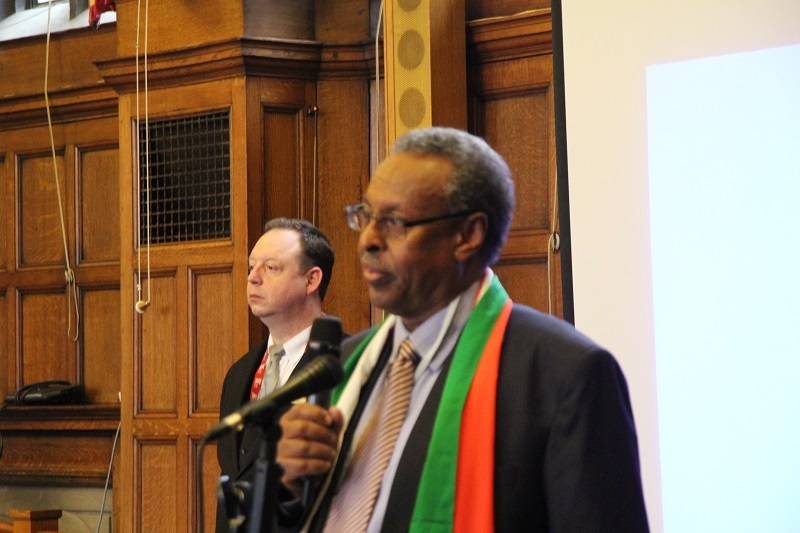 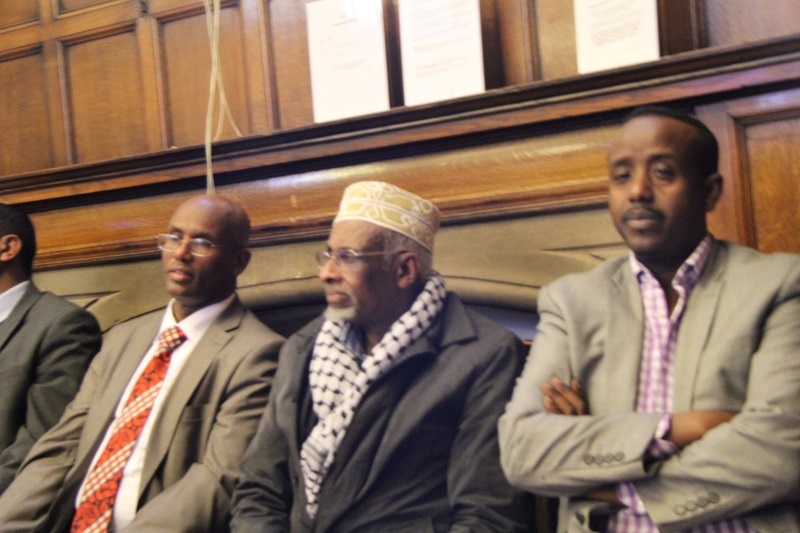 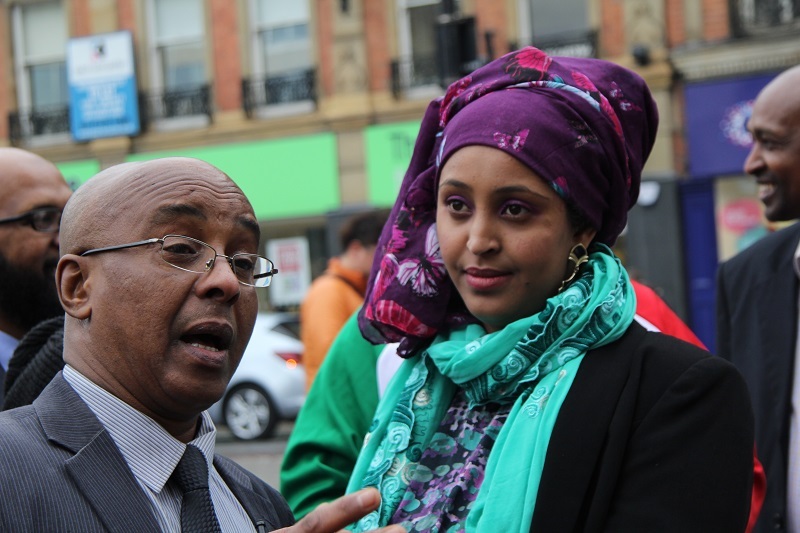 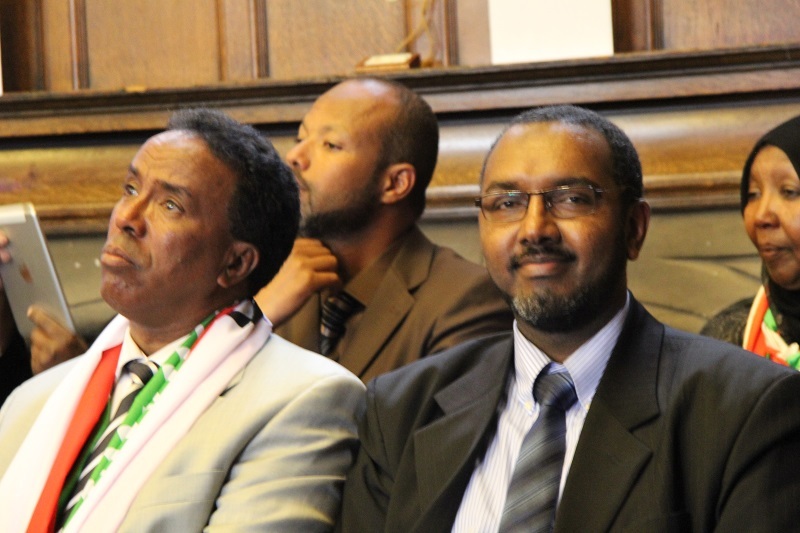 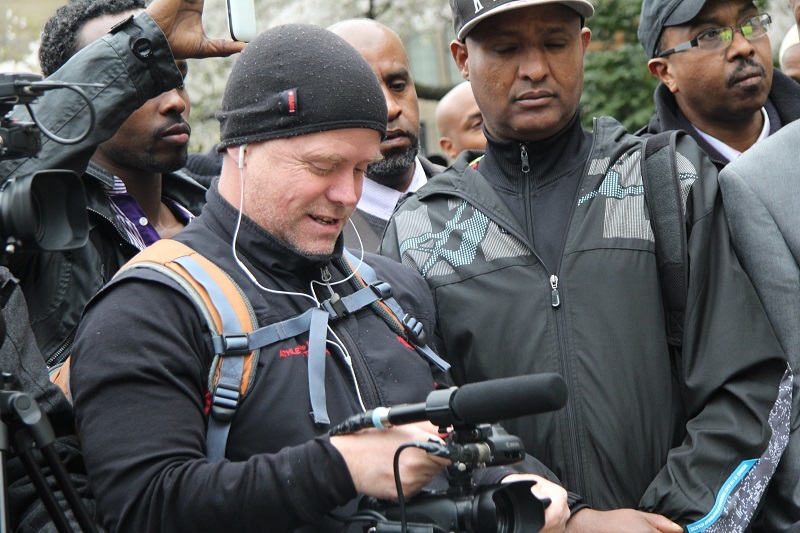 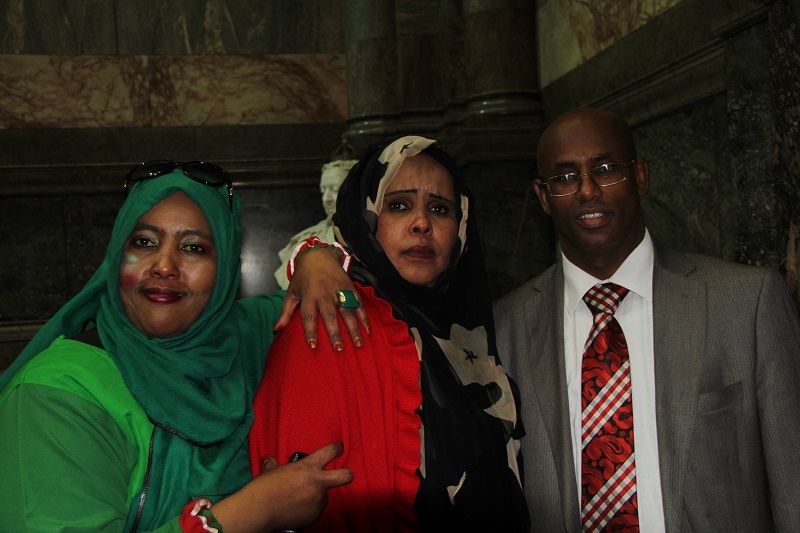 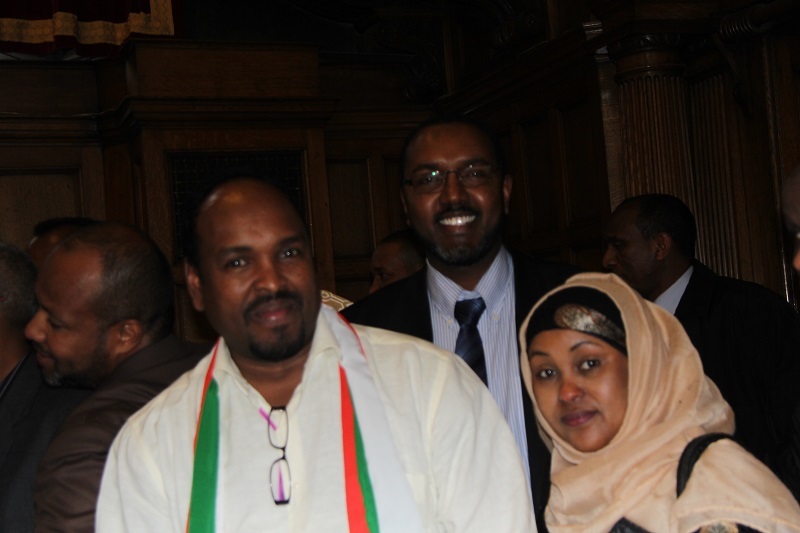 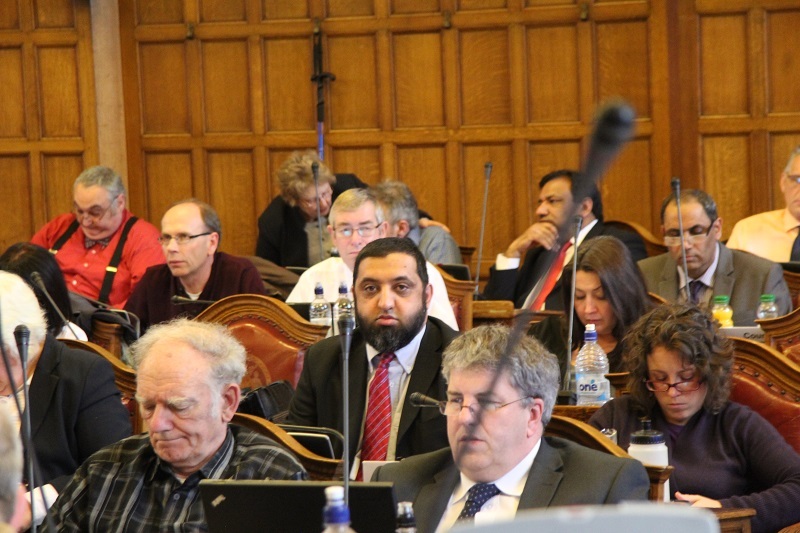 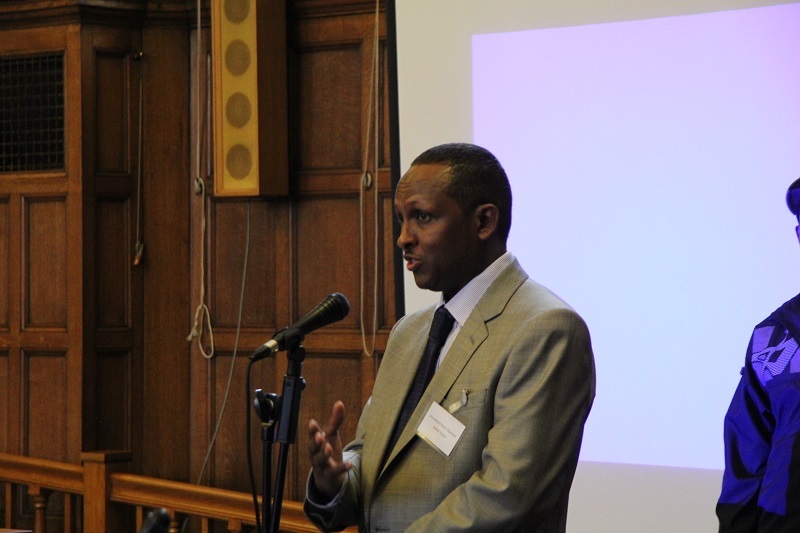 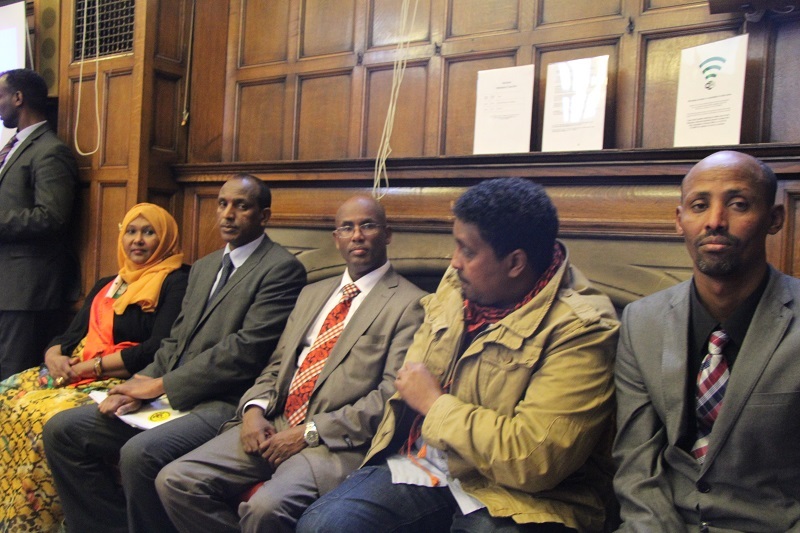 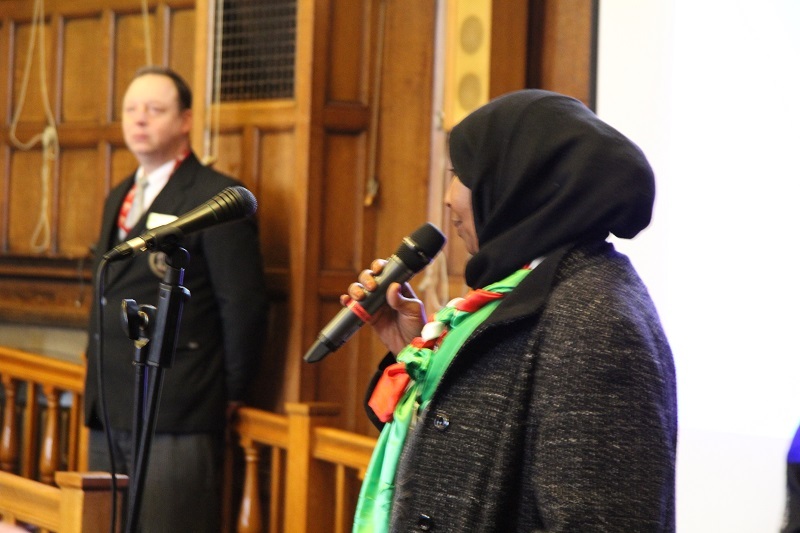 The motion was supported particularly by the local Somaliland communities and Councillors in Sheffield as well as other Somaliland communities through out UK. 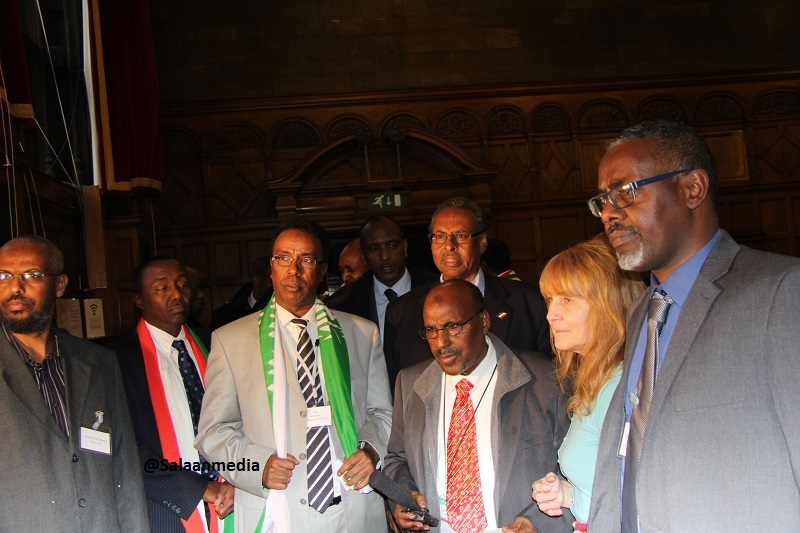 The news of the debate has been received with great relief and jubilation in Somaliland. 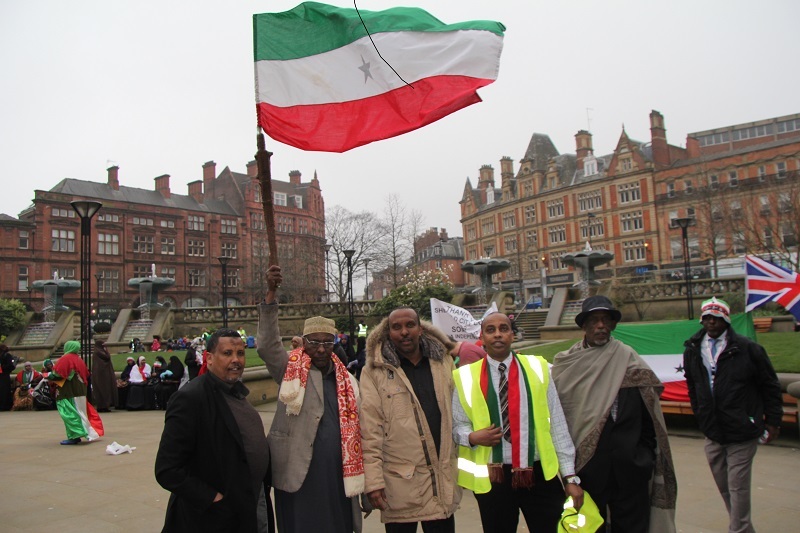 Locals in Hargeisa have expressed their happiness “with Britain finally standing-up to the expectations by the people of Somaliland whom it colonised from 1884 to 1960 “. 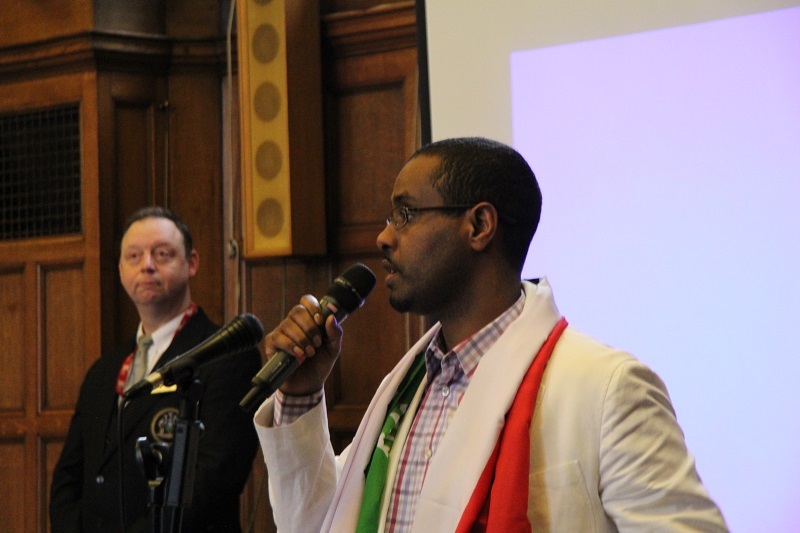 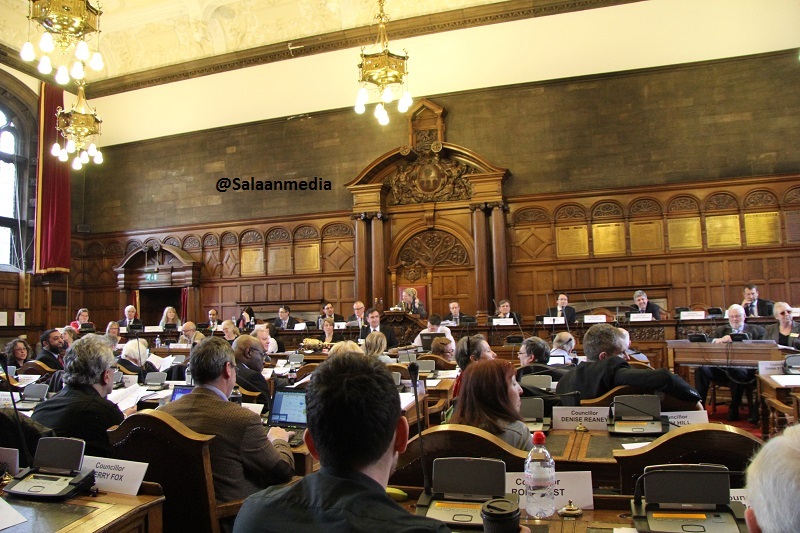 “Notice of Motion Given By Councillor Mohammad Maroof of Sheffield ..
(f) calls upon the Government to recognise Somaliland as an independent state and to encourage other Governments around the world to do the same. 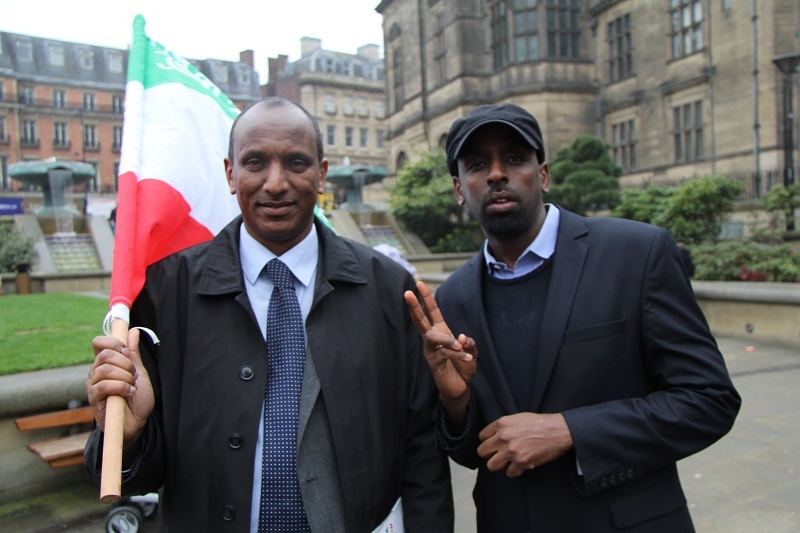 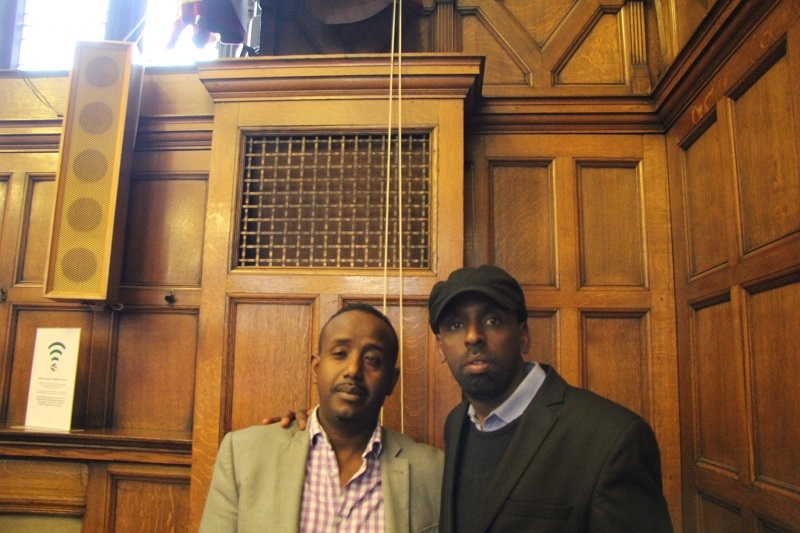 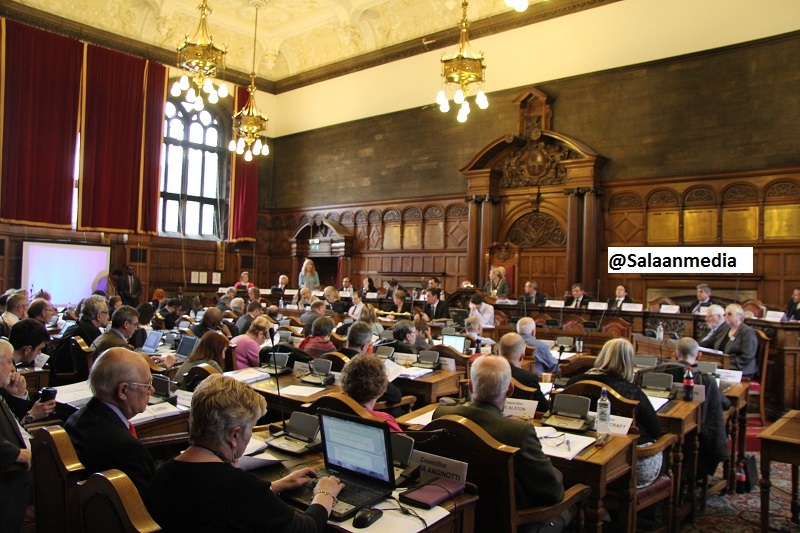 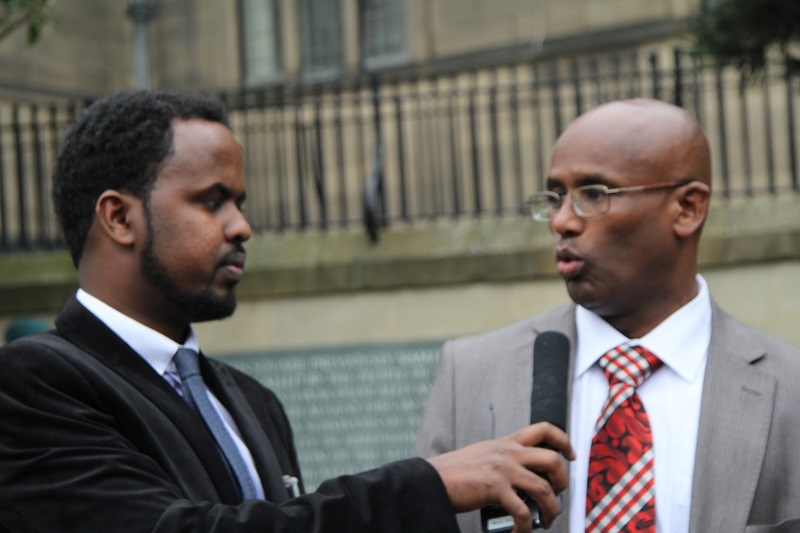 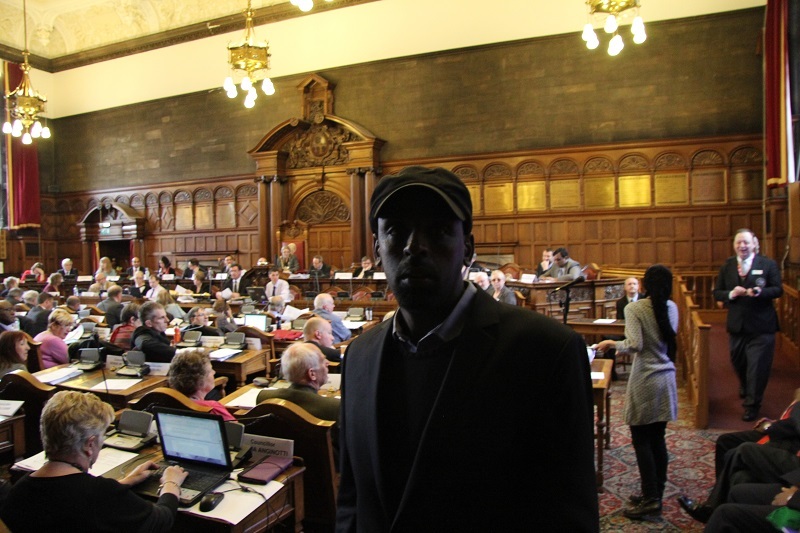 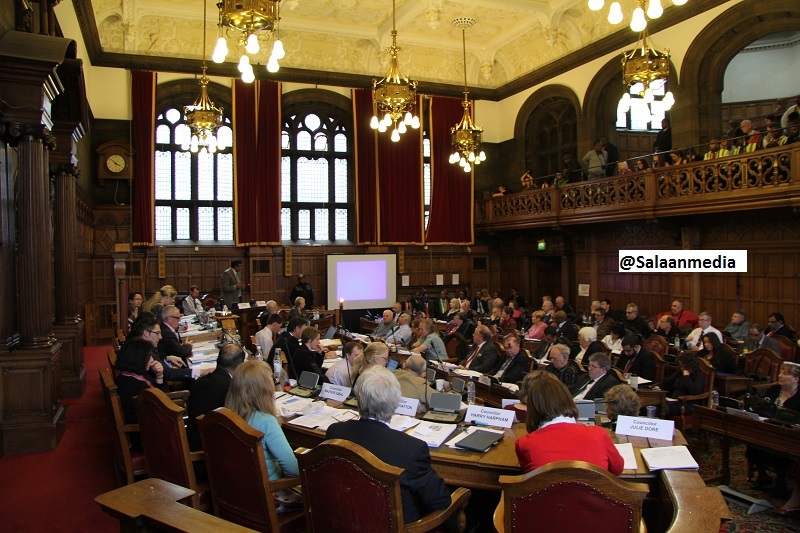 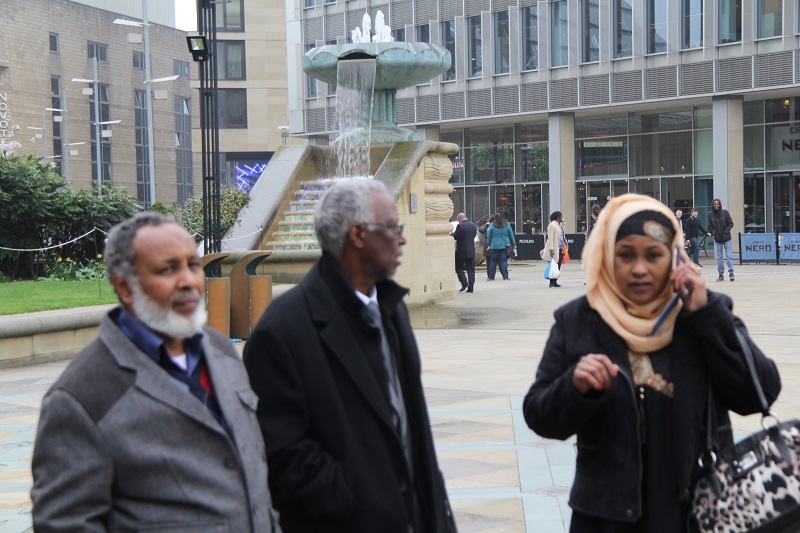 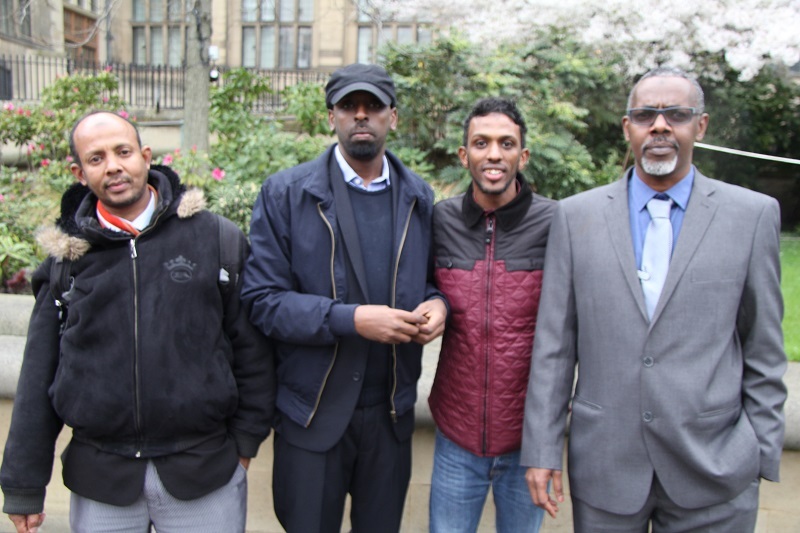 The historic debate was tabled by Councillor Mohammad Maroof who yesterday received over 2,000 signatures from the Somaliland community in Sheffield, petitioning the council to support recognition. 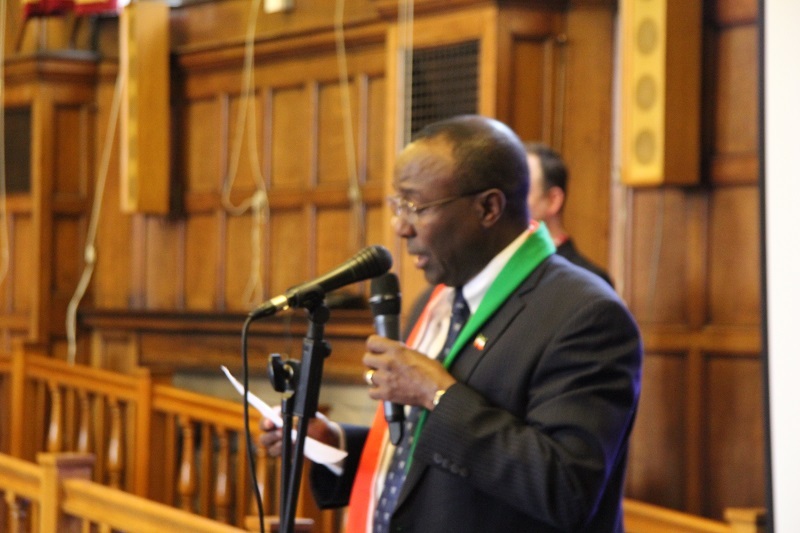 The Energy Minister of Somaliland Hussein Abdi Dualeh thanked local Labour MPs Paul Blomfield and Clive Betts as well as City Councillors for their support of Somaliland’s independence. 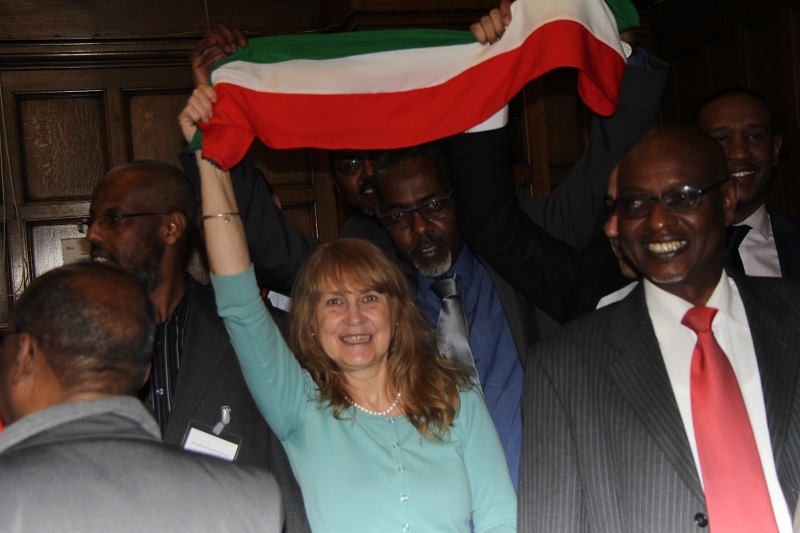 Somaliland sees this as an important, breakthrough moment for their campaign to be recognised as an independent nation by the international community. 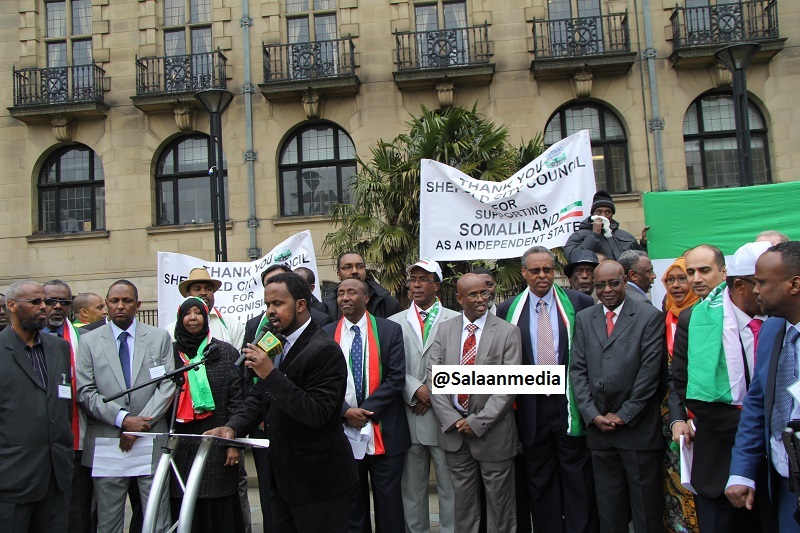 Their Independence Day will be celebrated around the world on 18 May. 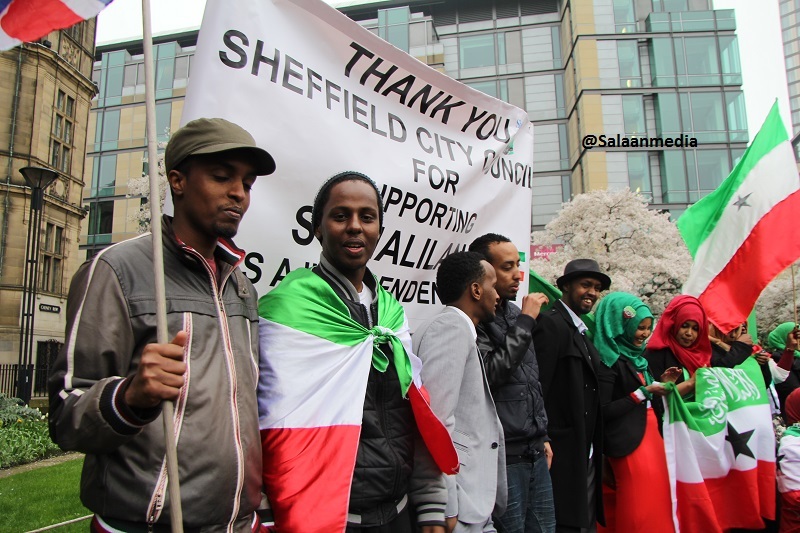 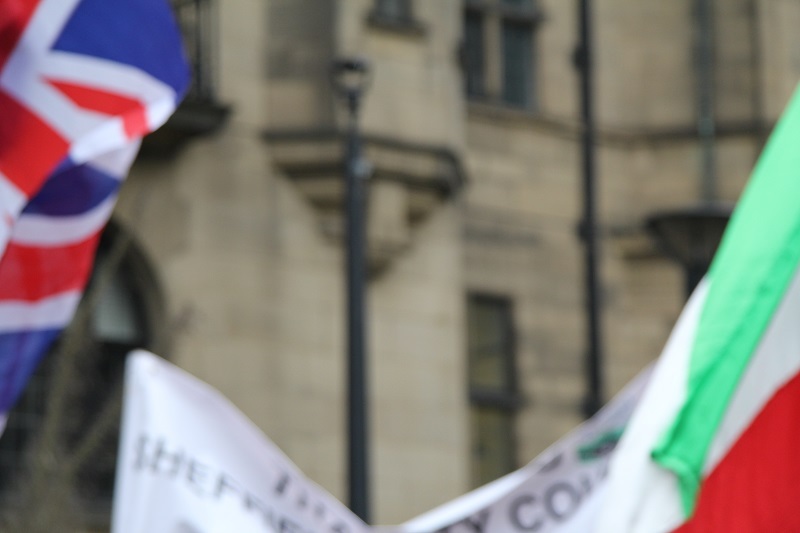 On Friday, 4 April, Sheffield Central MP Paul Blomfield will be speaking at ISRAAC, the Somali Community and Cultural Association, in support of Somaliland’s case for recognition. 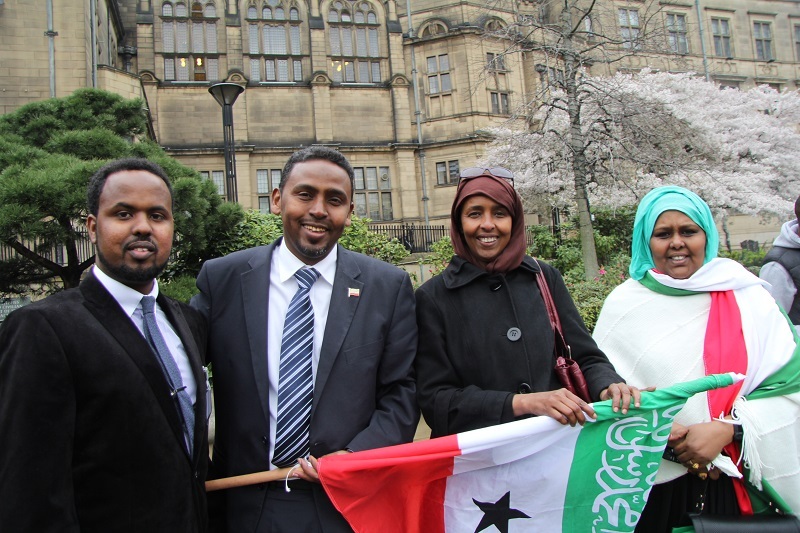 Sheffield’s Somaliland community danced and cheered as councillors voted in favour of recognising their home nation as an independent state. 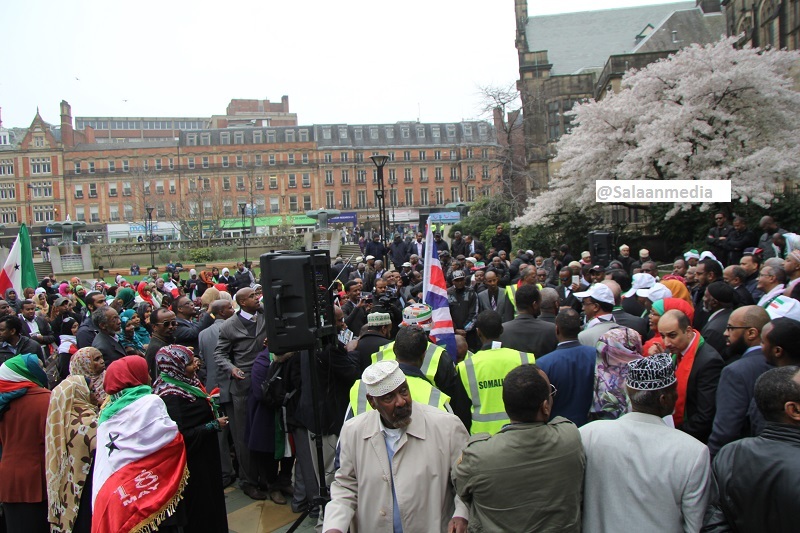 The Peace Gardens came alive with singing, dancing, drumming and flag-waving as a motion tabled by Labour Coun Mohammad Maroof was passed by full council. 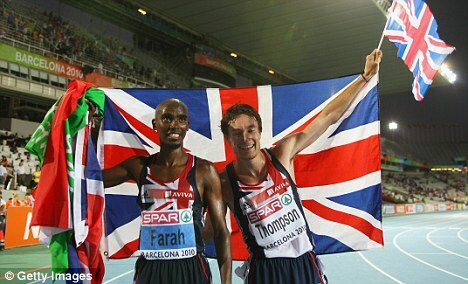 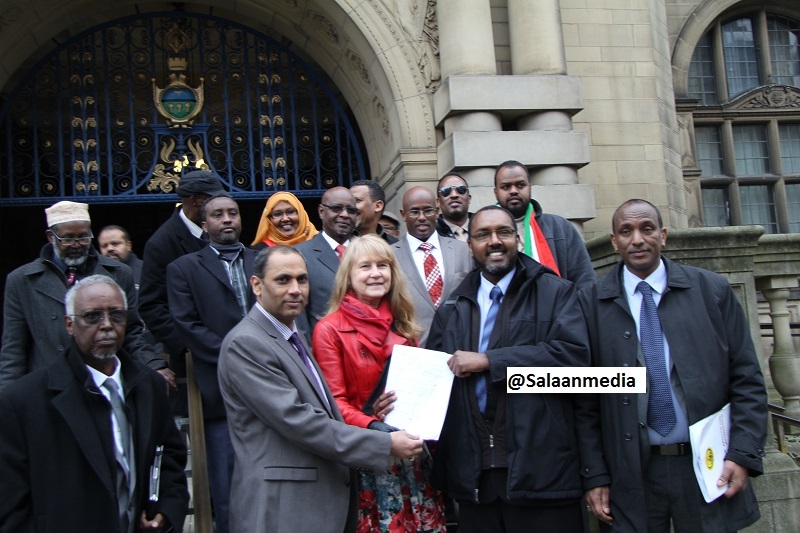 The historic move means Sheffield is the first local authority in the UK to recognise Somaliland as a sovereign state. 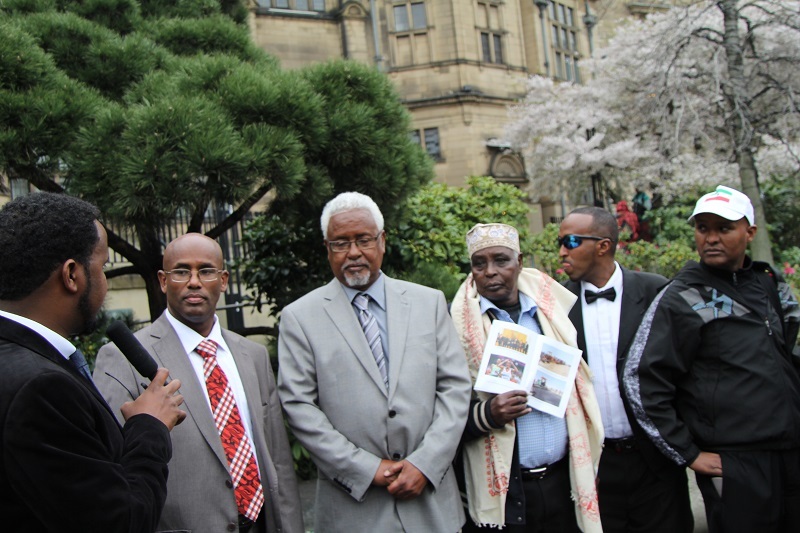 Many men from Somaliland came to Sheffield after WW2 to work in steelworks. 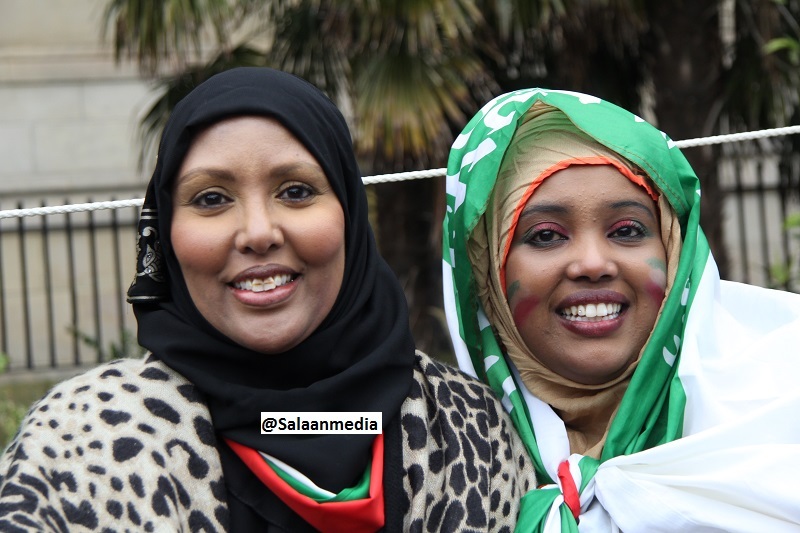 Somaliland is in northwestern Somalia. 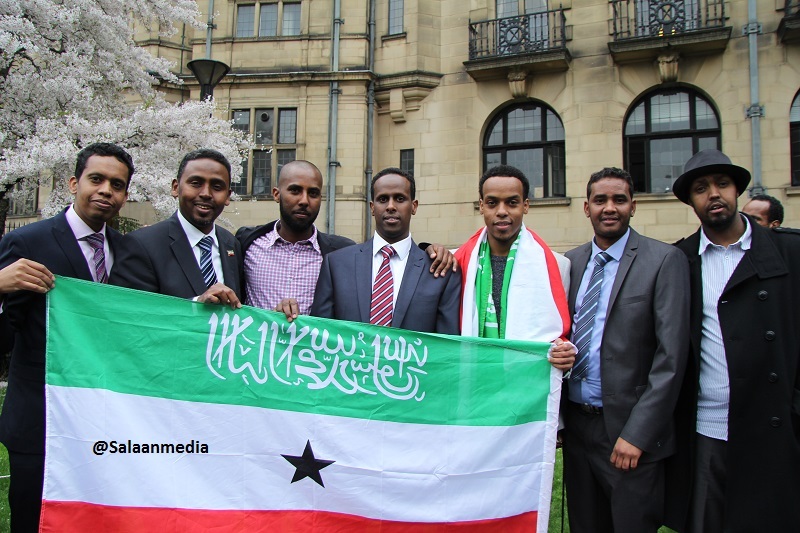 It voted for independence in 1991 and has had democratically elected government since. 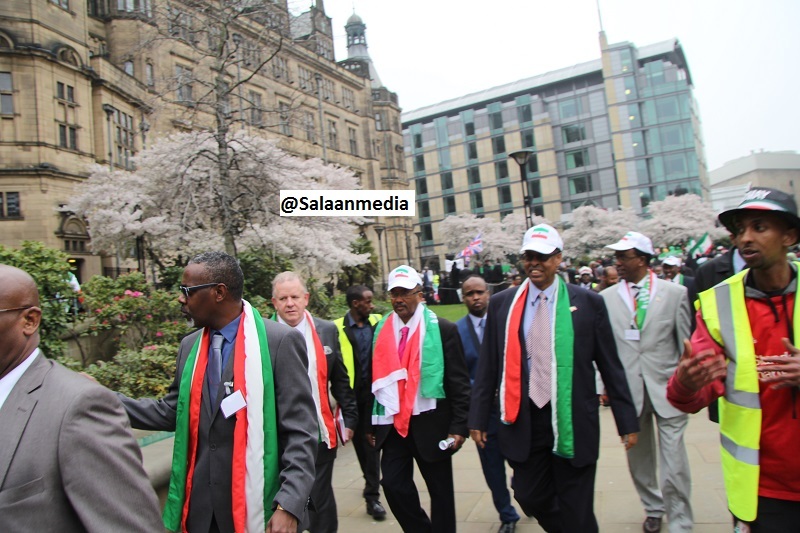 Taageerayaasha Somaliland ayaa ku dabbaaldegay bannaanka hore ee Madaxtooyada magaalada Sheffield city kadib markii Golaha Degmada uu Khamiistii ku codeeyey inuu aqoonsado xaqa aaya-kataliska Somaliland.Kumannaan kun oo qof oo asal ahana kasoo jeeda Somaliland ayaa ku nool magaaladan ku taalla dhinaca waqooyi ee England. 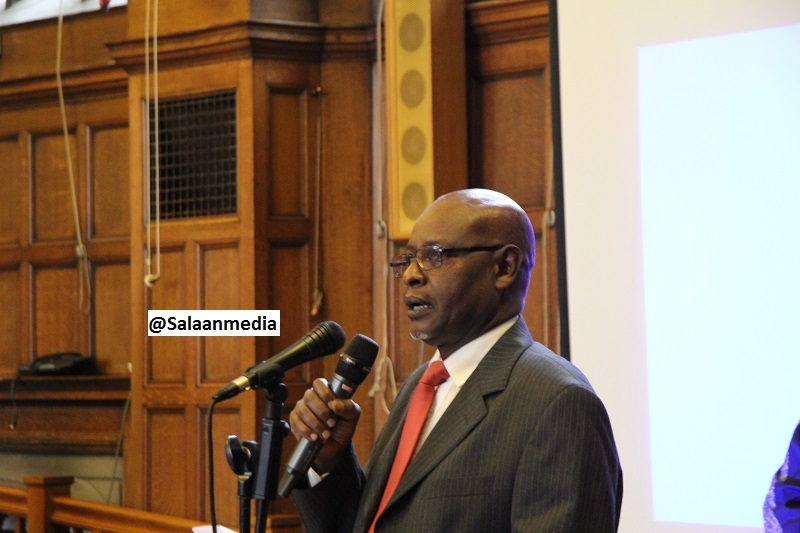 Wasiirka Arrimaha Dibedda ee Somaliland Mohamed Bihi Yonis ayaa ka qaybgalay codbixinta, kaidbna waxa uu idaacadda VOA u sheegay muhiimadda astaan ahaaneed ee tallaabadani leedahay. 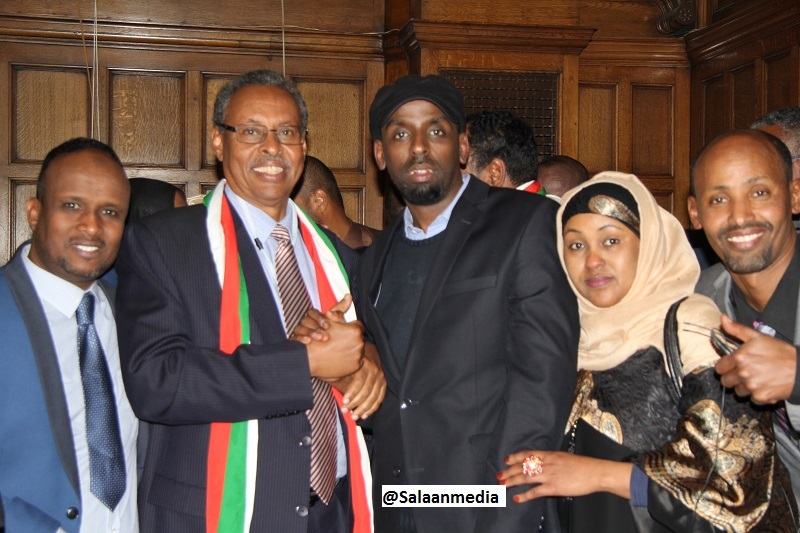 Mohamed Yonis waxa uu Somaliland ku tilmaamay goob nabadeed. 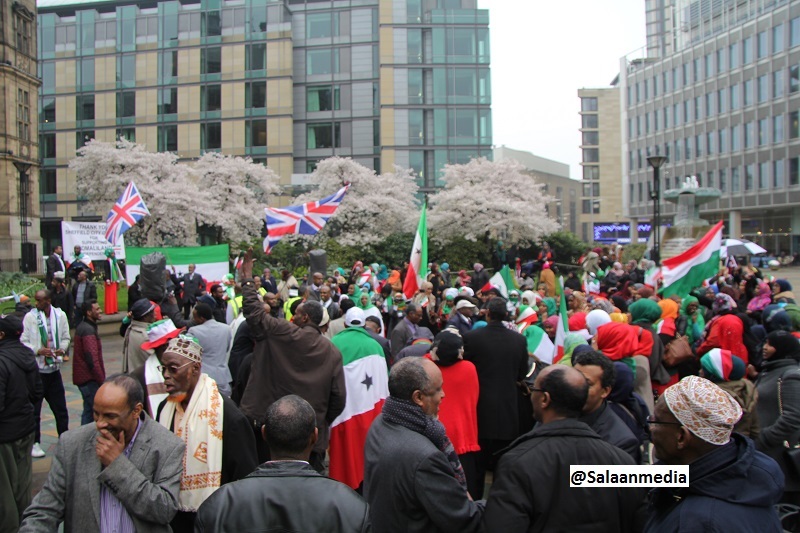 Warbixin dhamaystiran oo uu magaalada London ka soo diray wariyaha VOA Henry Ridgwell isla markaana uu inoo soo koobayo Haaruun Macruuf ka dhegayso qaybta hoose ee boggan. 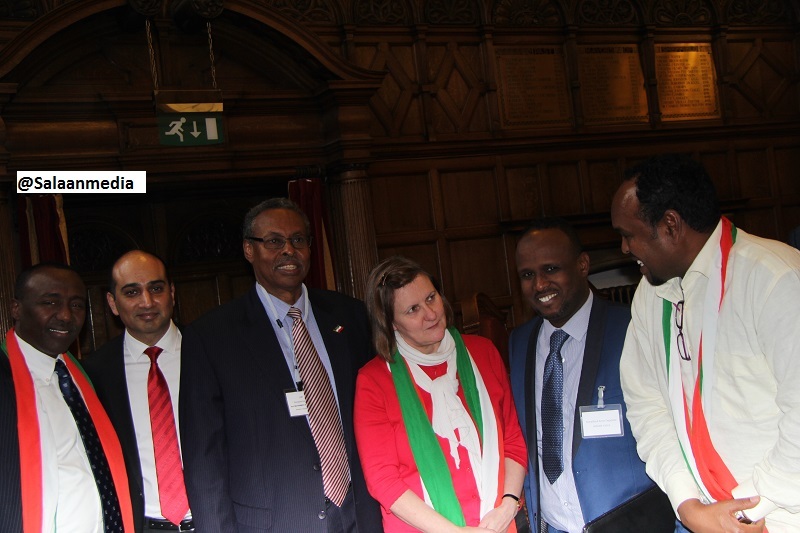 This historic debate will be attended by Somaliland’s Foreign Minister Mohamed Bihi Yonis, Energy Minister Hussein Abdi Dualeh, Speaker of Parliament Abdirahman Mohamed Abdullahi, Somaliland’s Ambassador to the UK Ali Aden Awale as well as several parliamentarians. 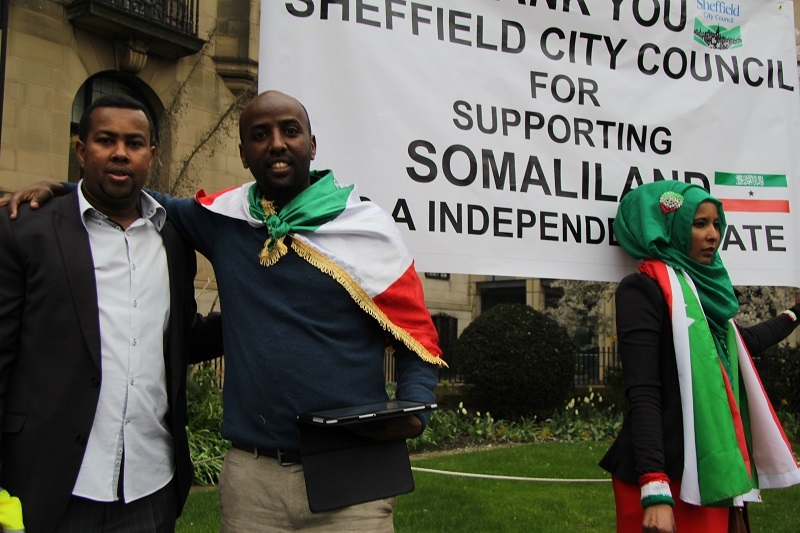 The motion was tabled by Councillor Mohammad Maroof who today received over 2,000 signatures from the Somaliland community in Sheffield, petitioning the council to support recognition. 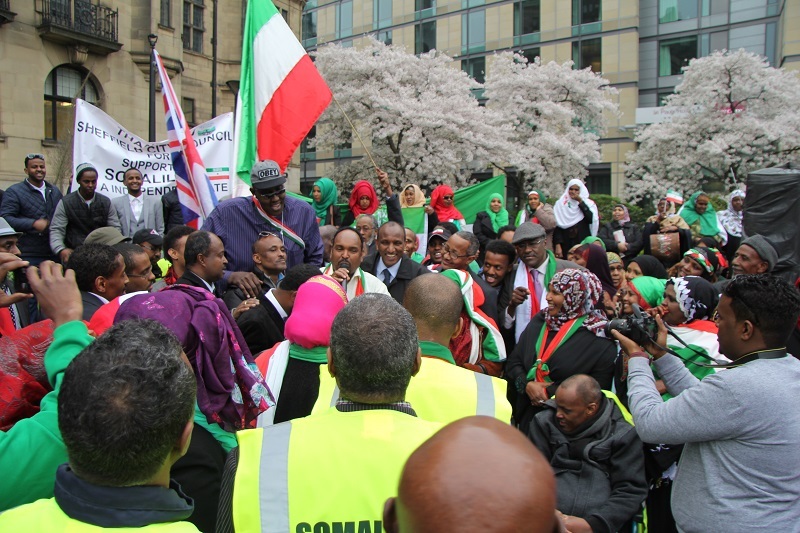 On Friday 4 April, Sheffield Central MP Paul Blomfield (Lab) will be speaking at ISRAAC: Somali Community and Cultural Association in support of Somaliland’s case for recognition.